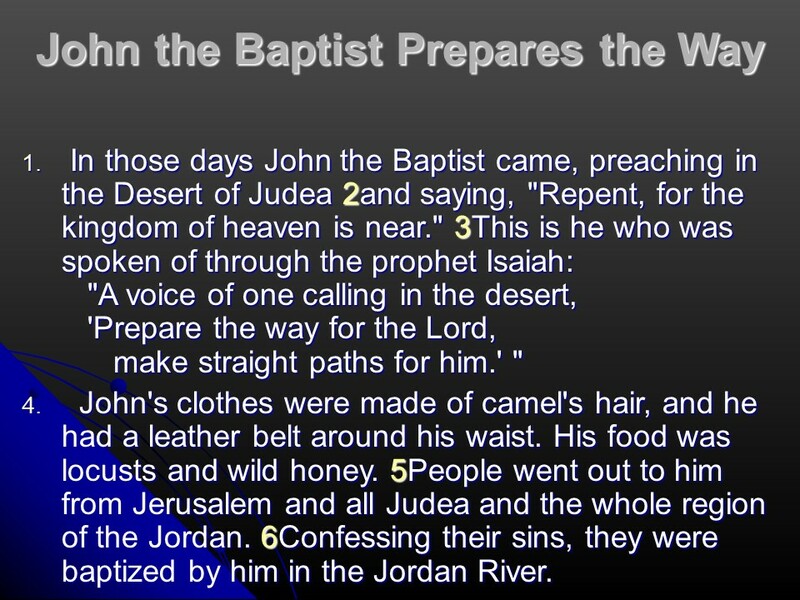 John the Baptist – Len Bilén's blog, a blog about faith, politics and the environment. 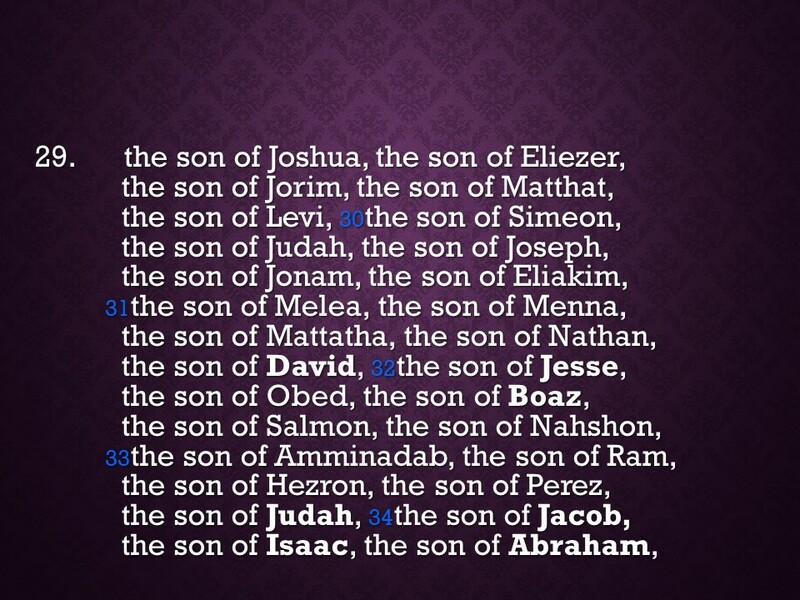 March 22, read through the Bible in a year. 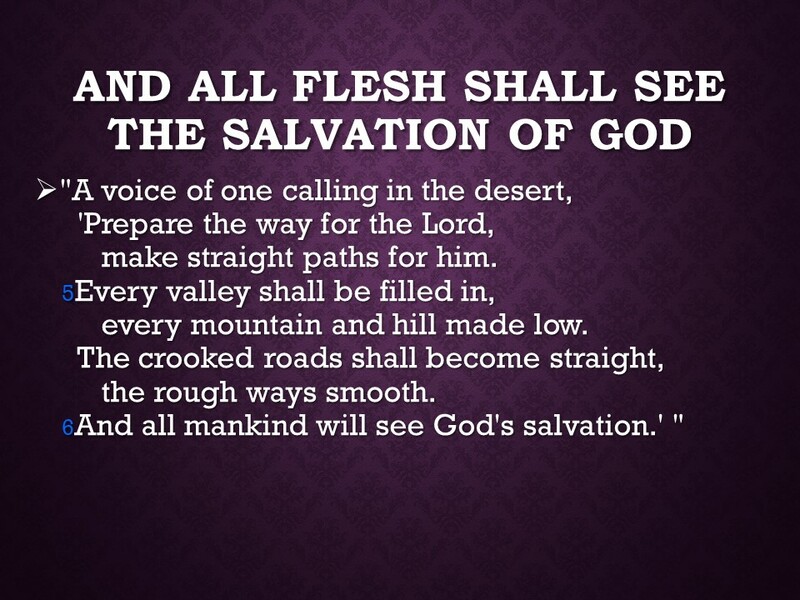 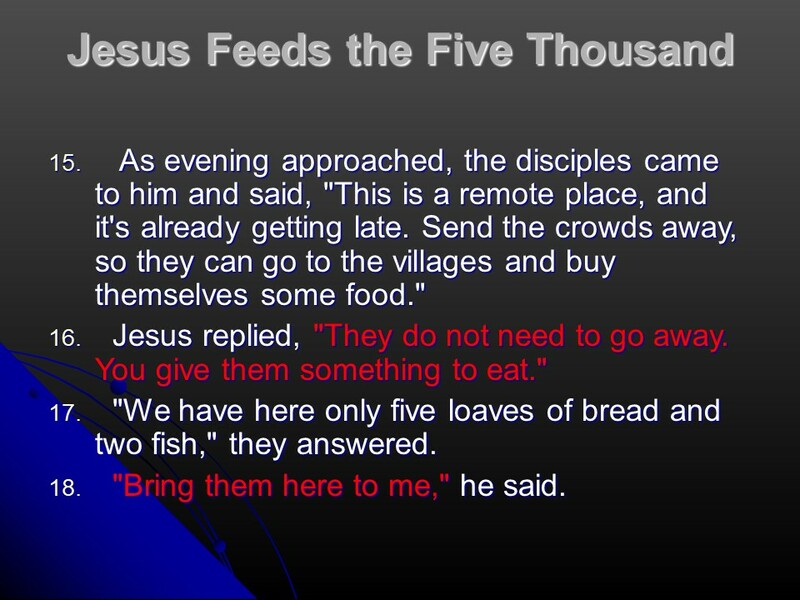 It is Lent. 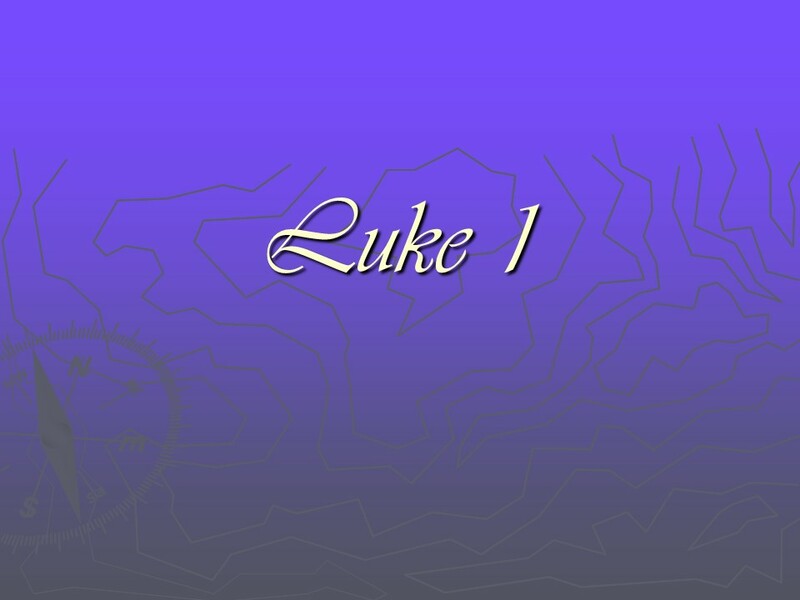 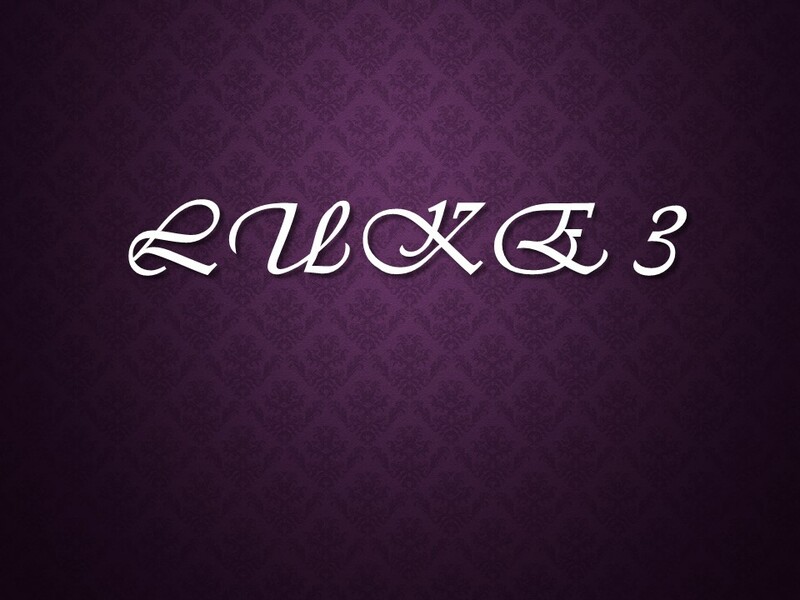 Luke and Lent kind of go together; only two chapters, enjoy! 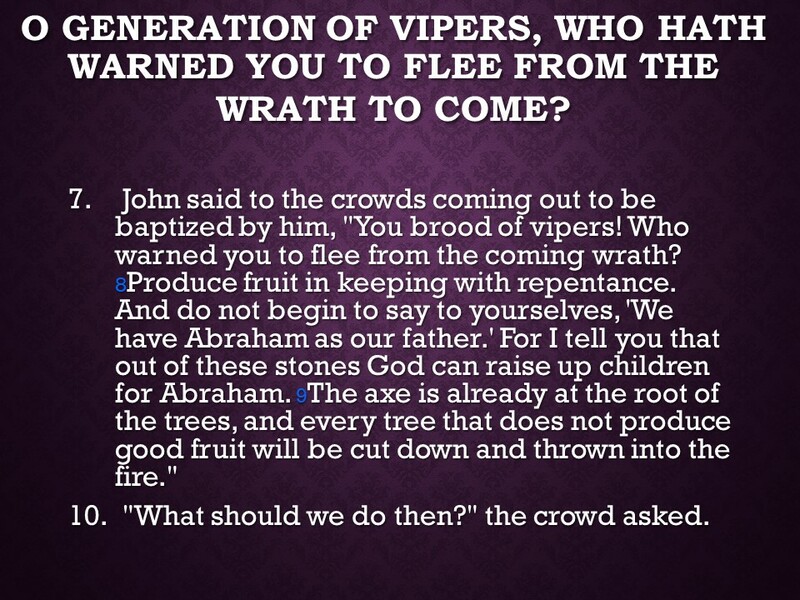 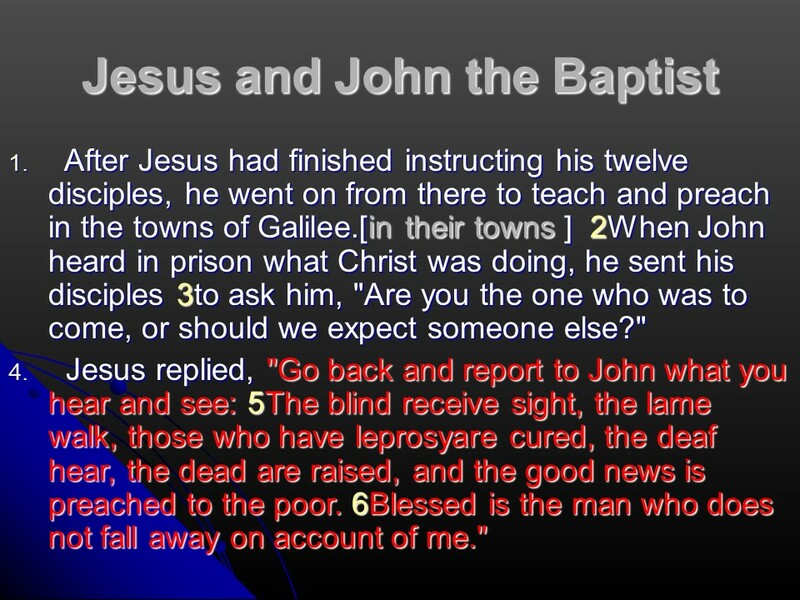 Luke 1, to Theophilus. 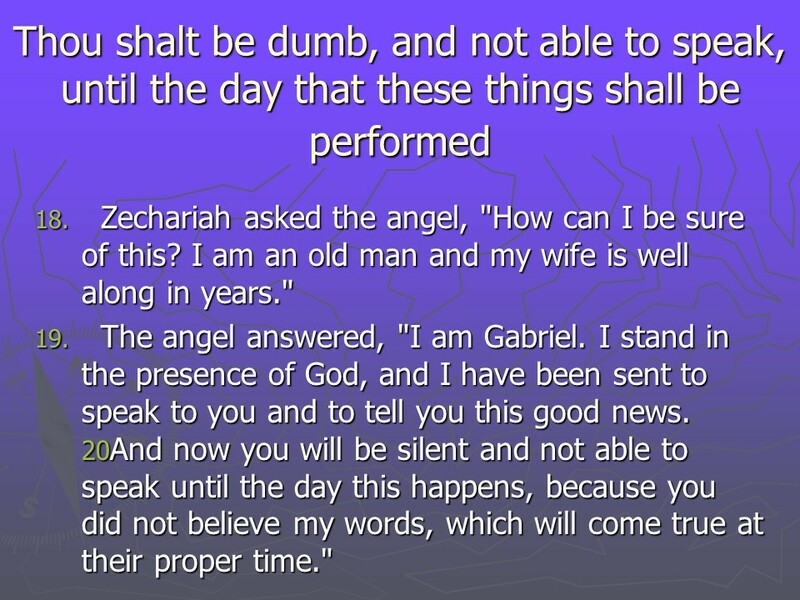 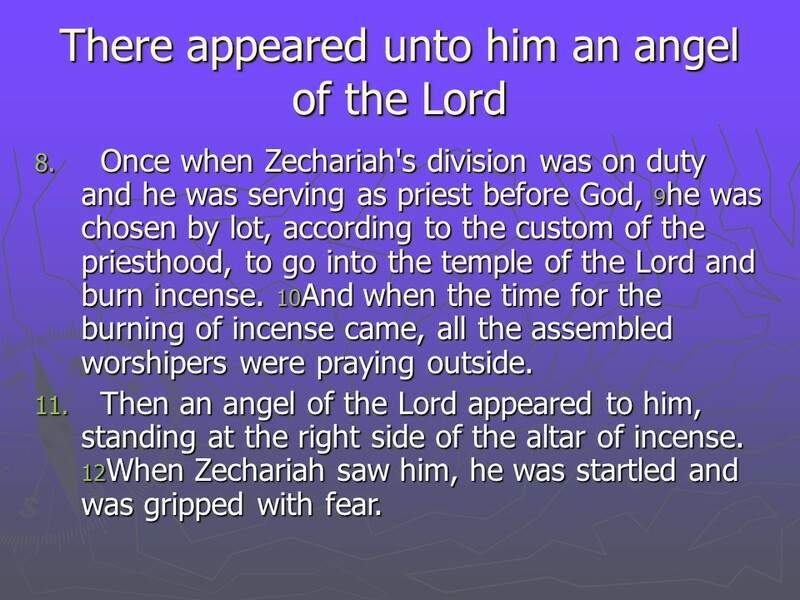 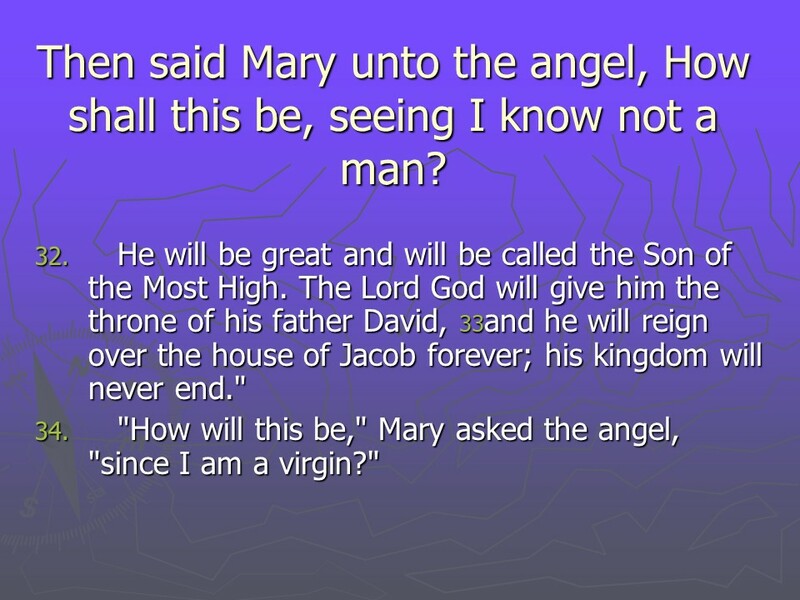 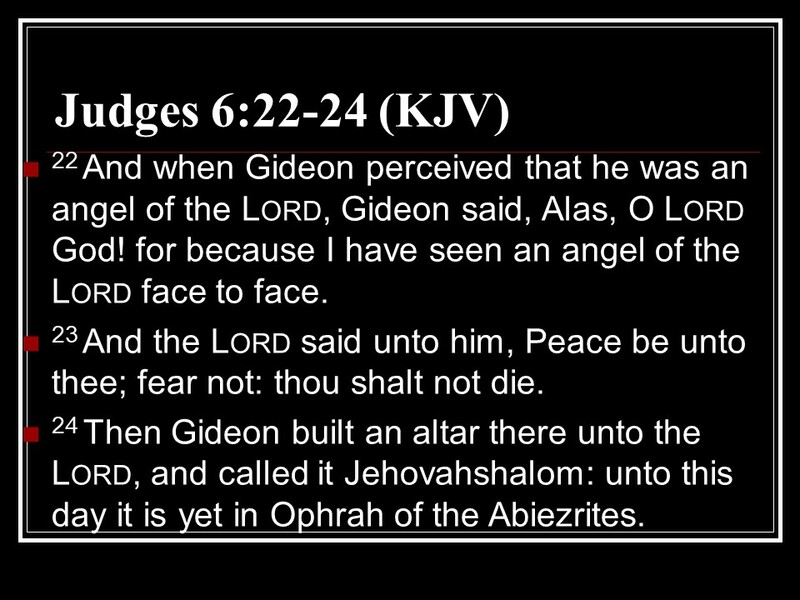 The birth of John the Baptist foretold to Zacharias by an Angel, then the angel Gabriel makes an announcement announcement to Mary, Mary meets Elizabeth, Zacharias’ wife. 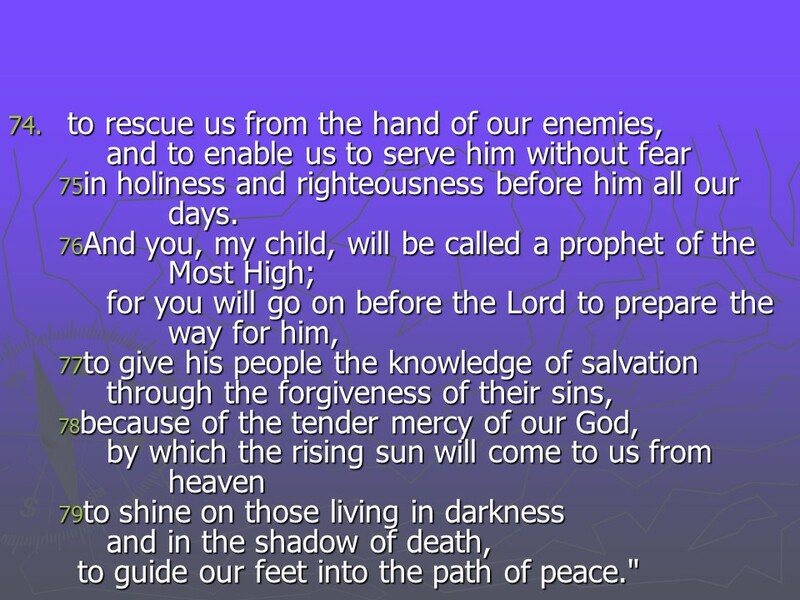 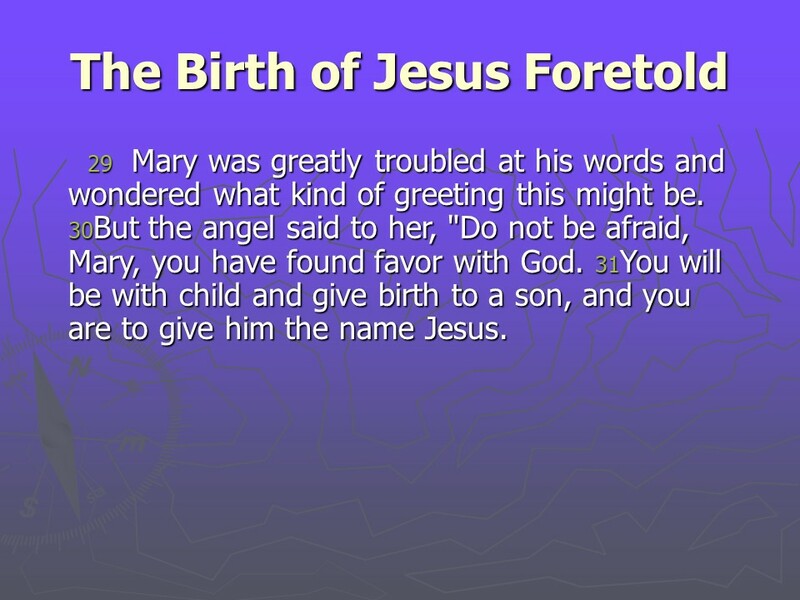 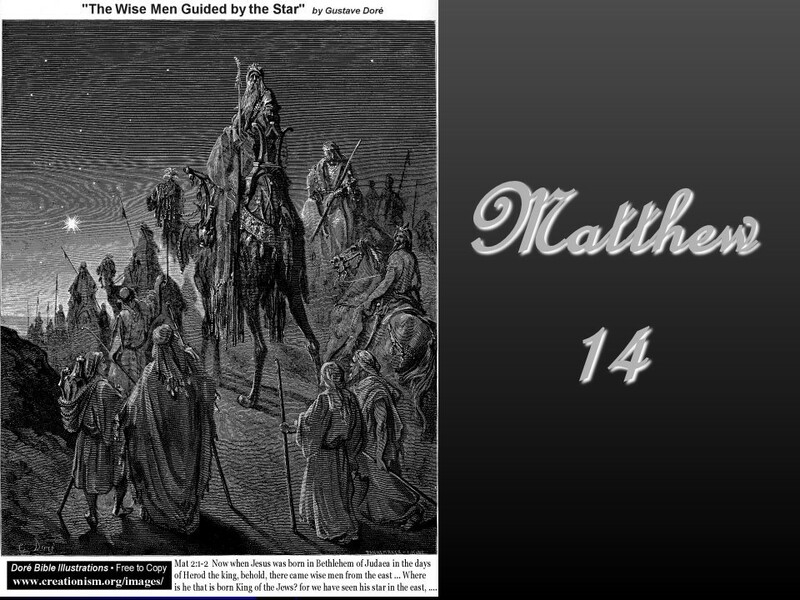 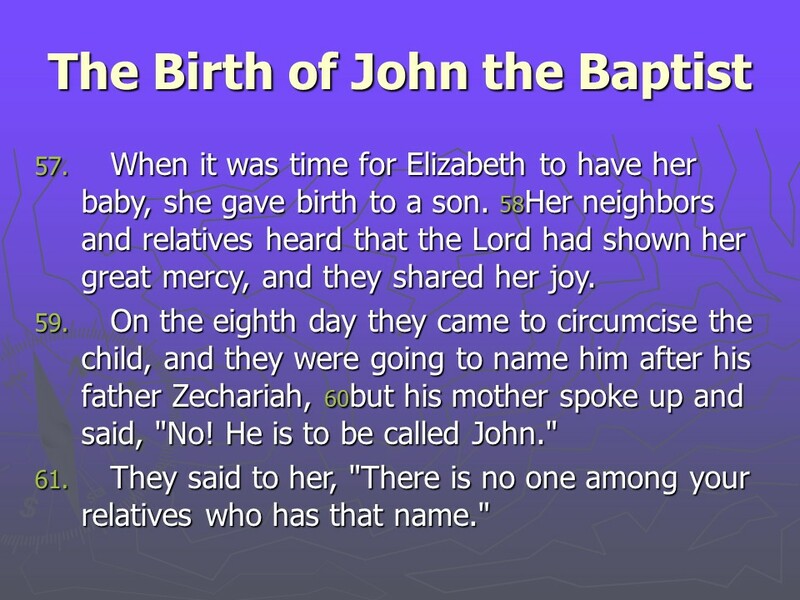 Luke 1 also contains Mary’s song, Zacharias’ prophecy and the Birth of John the Baptist. 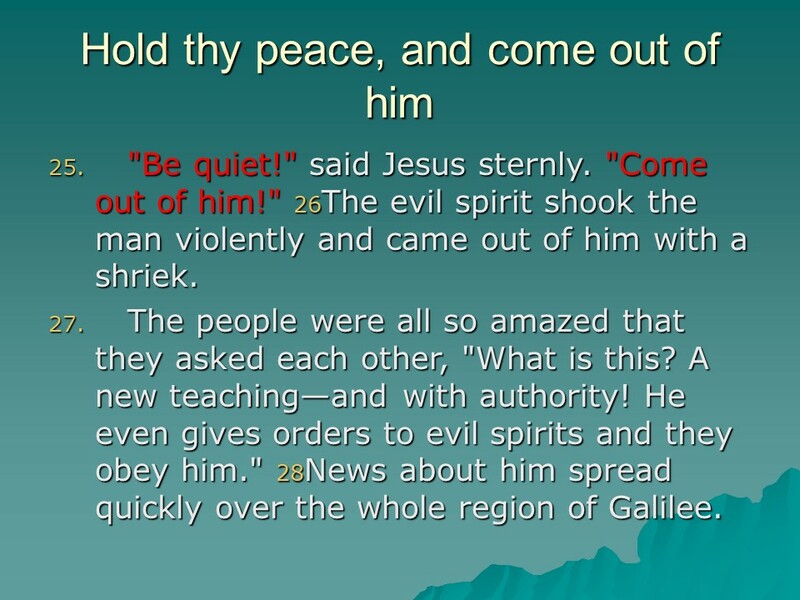 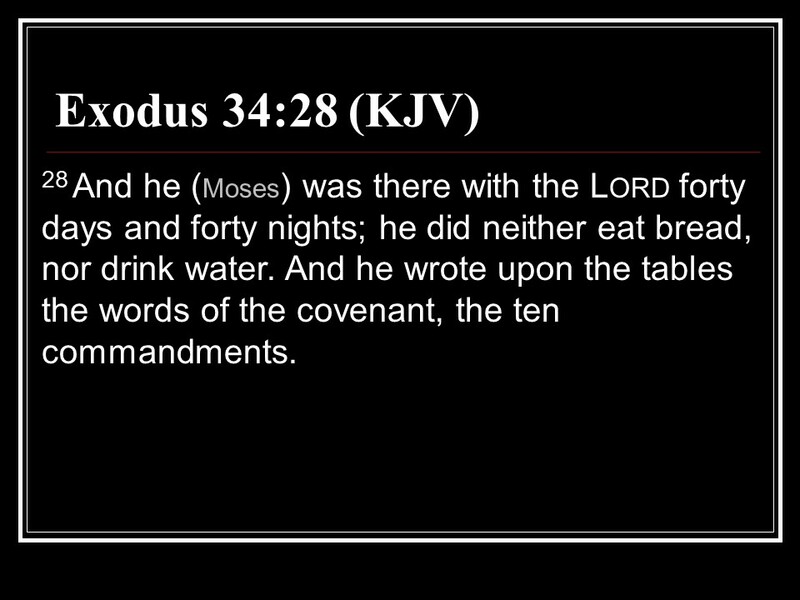 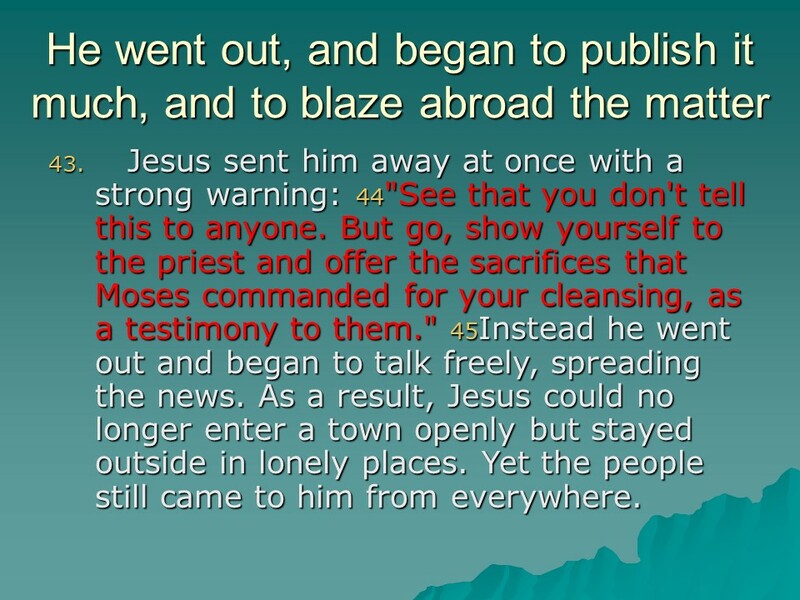 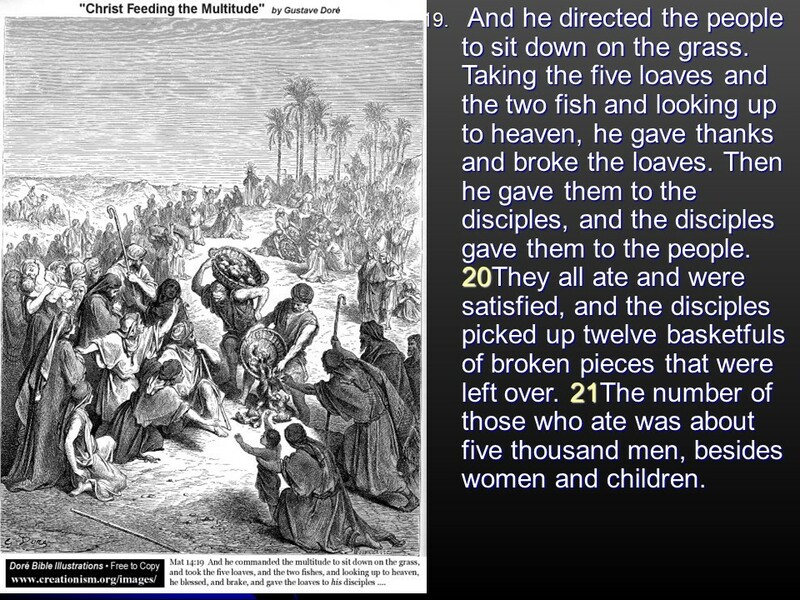 Deuteronomy 23 deals with shunning and exclusion from the assembly, how to deal or not to deal with certain foreigners. 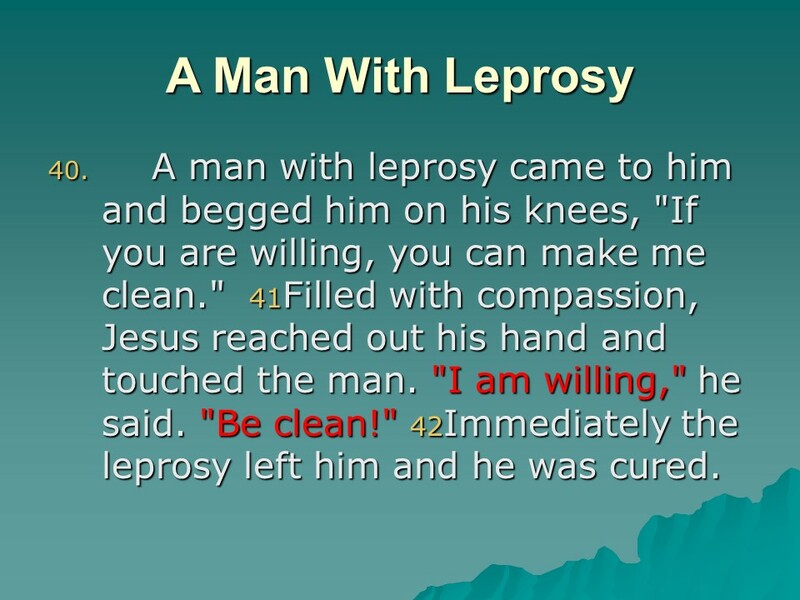 Make your relief stations outside the camp and do what you have to do and keep proper camping cleanliness. 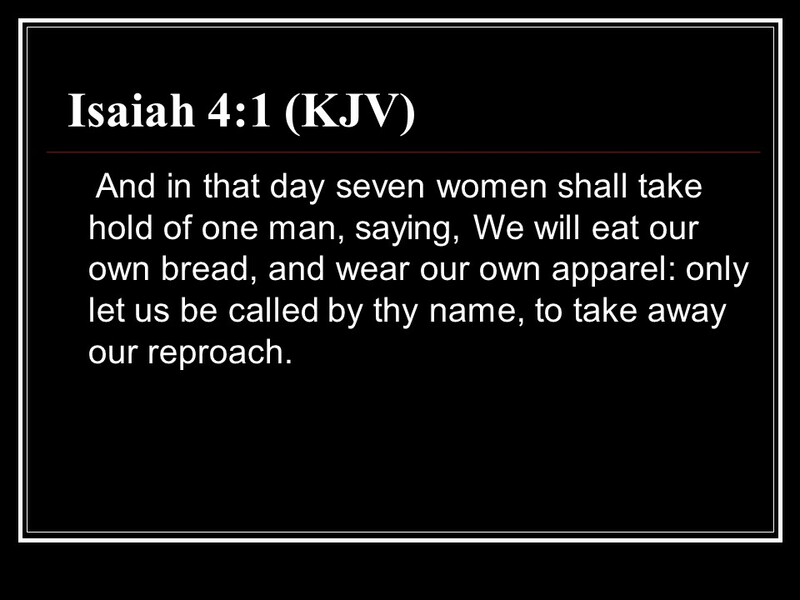 No harlots allowed and do not accept offerings from them. 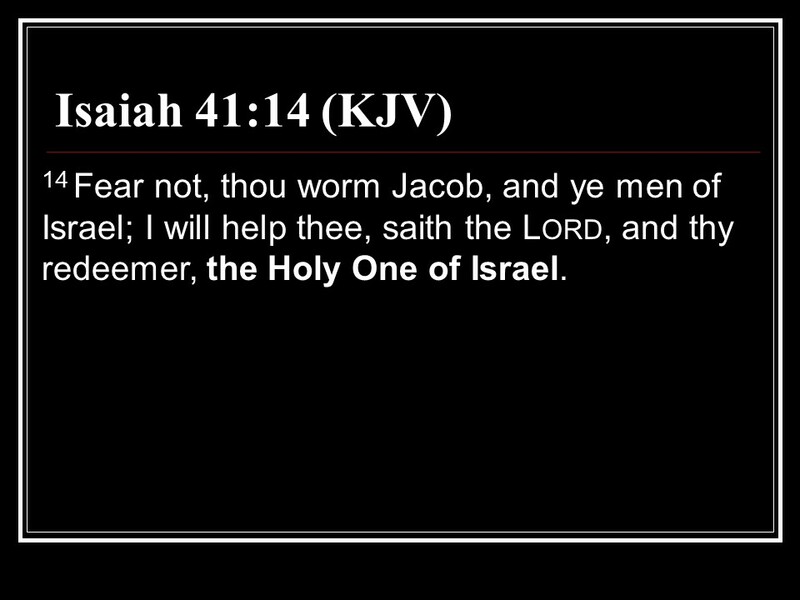 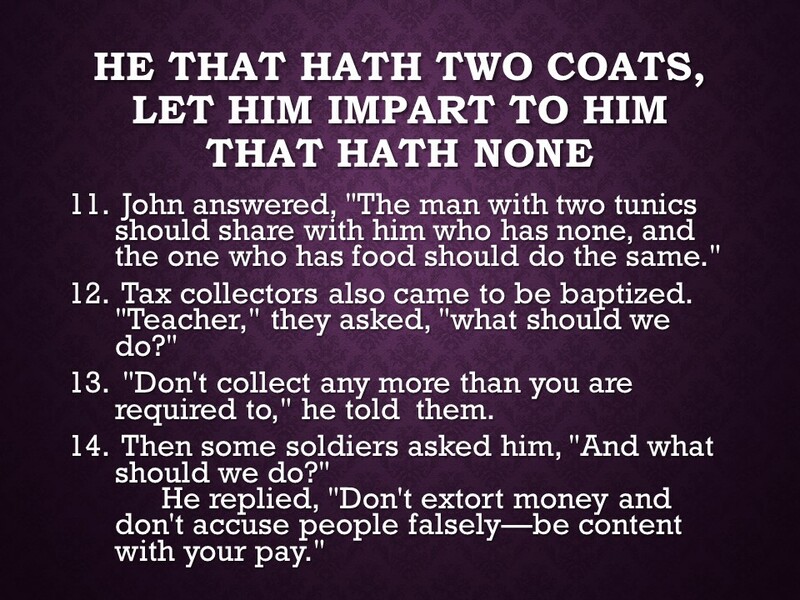 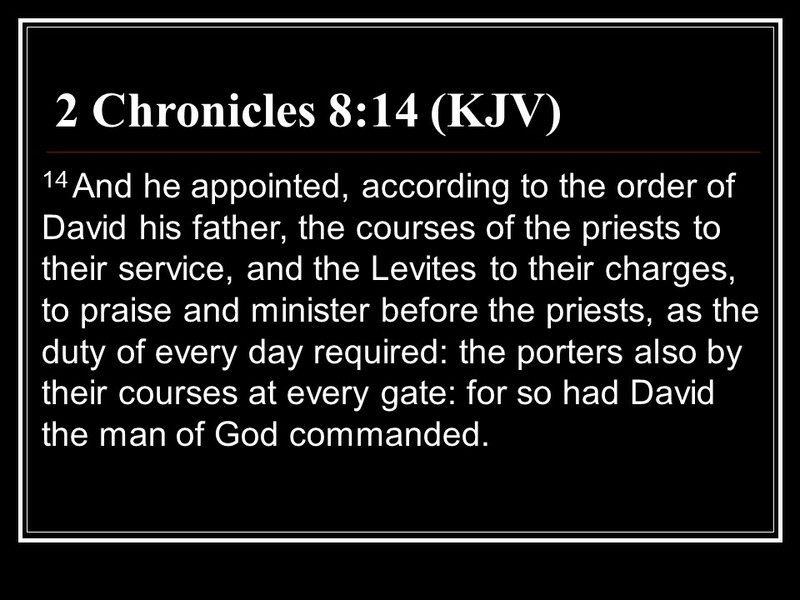 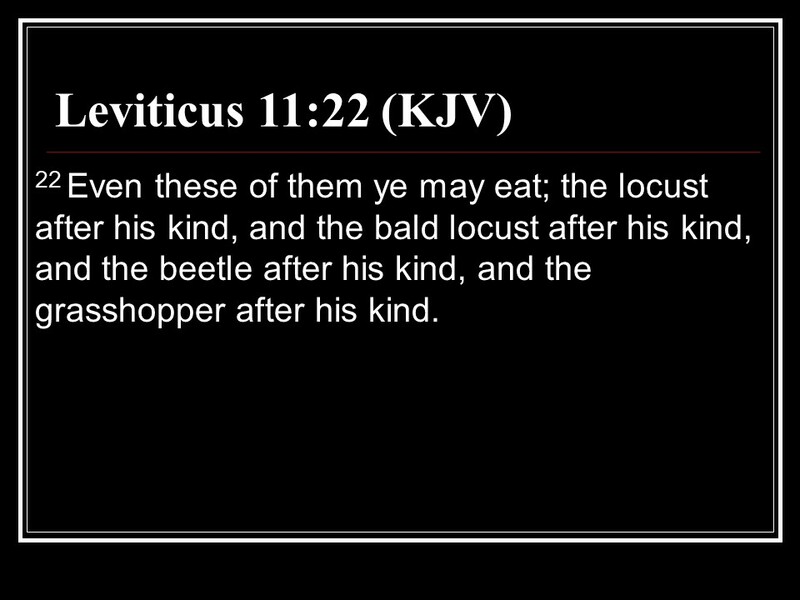 You may not charge interest to a fellow Israelite, but you can be a Shylock to a foreigner. 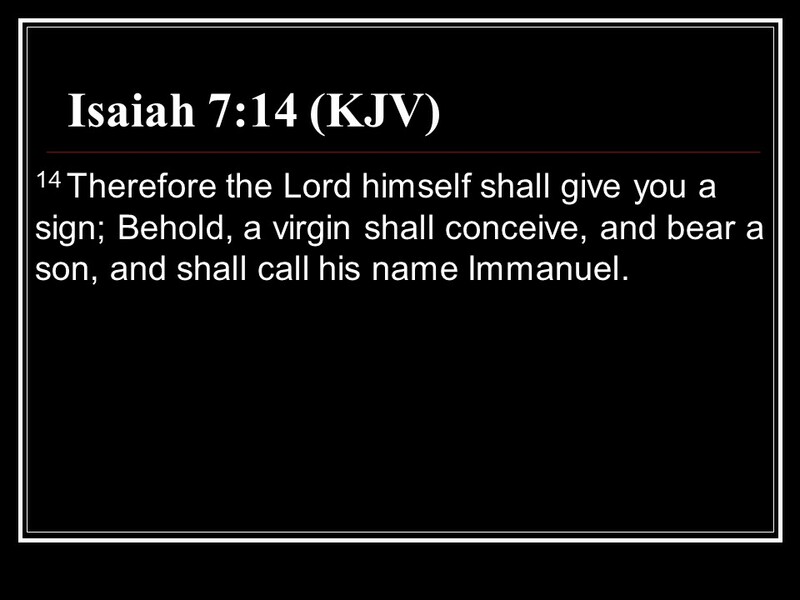 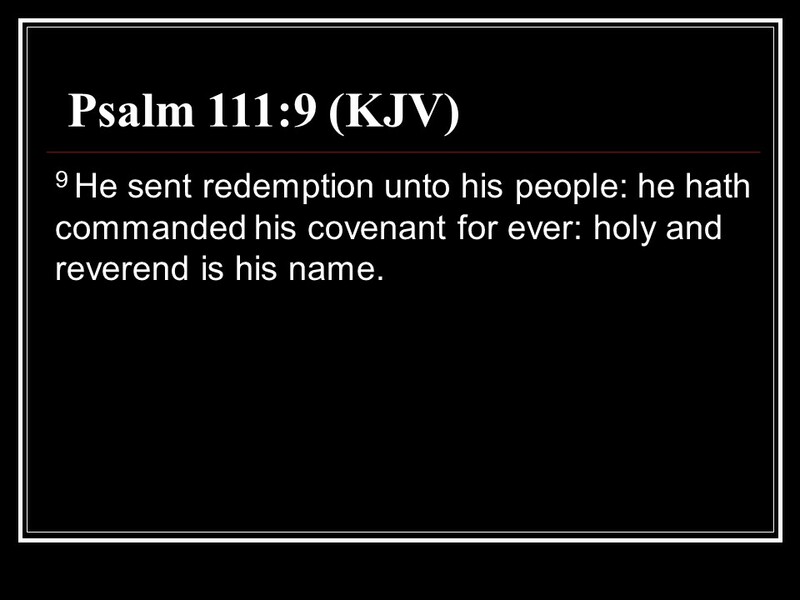 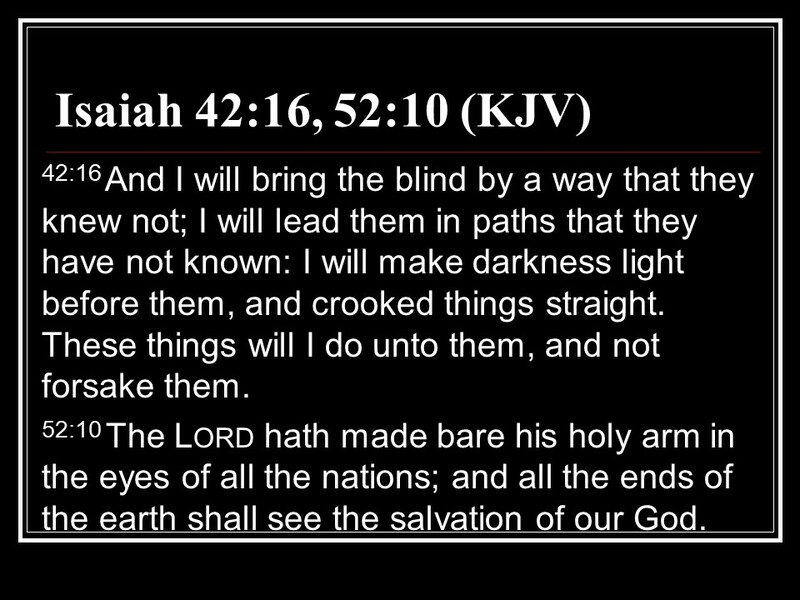 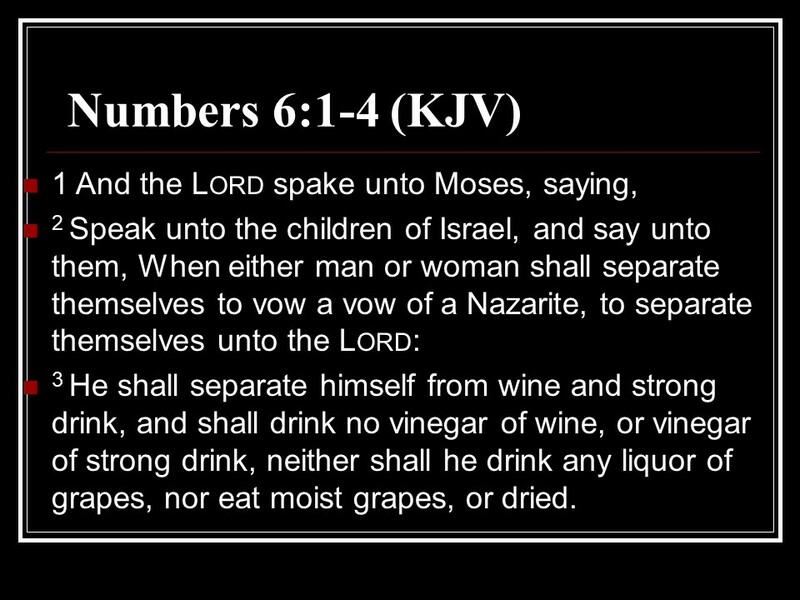 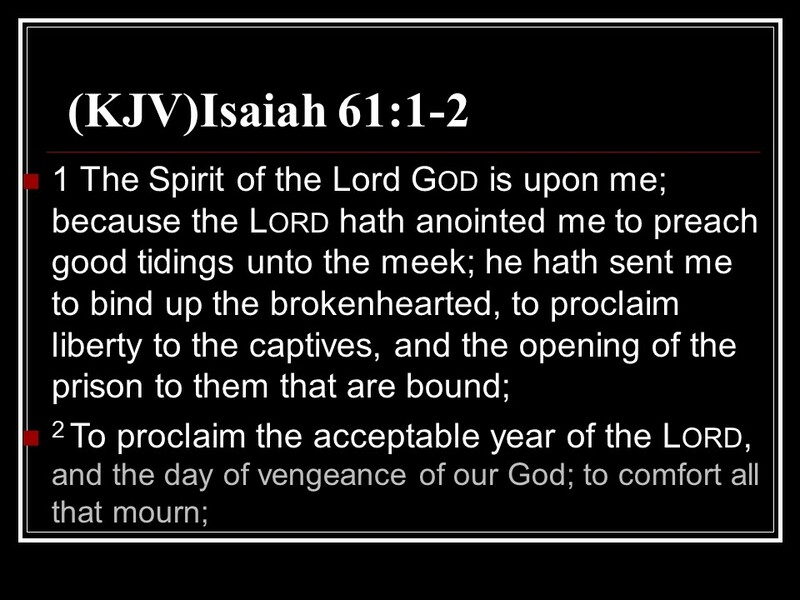 If you make a vow to the Lord fulfill it! 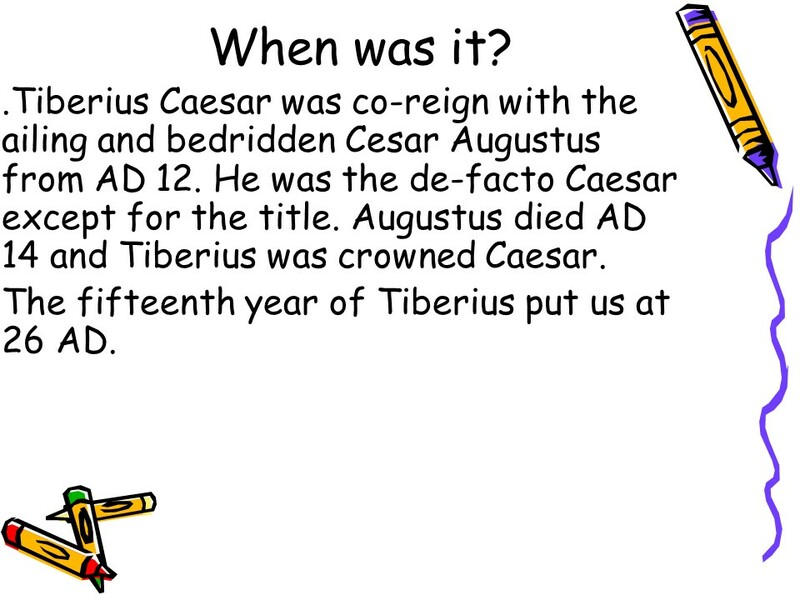 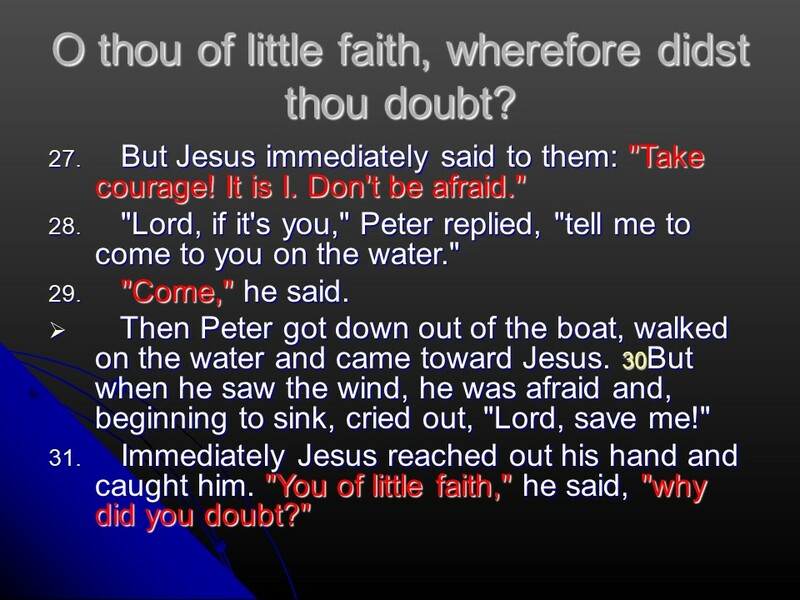 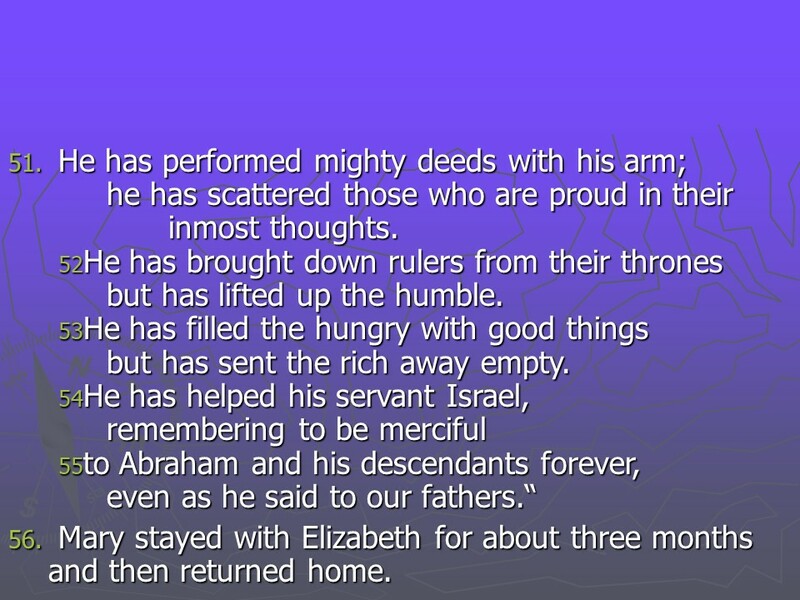 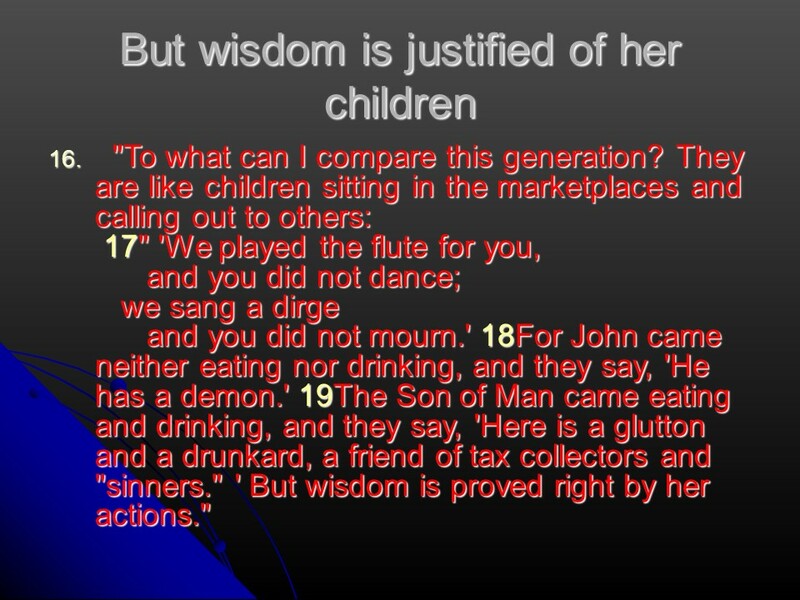 Posted on March 21, 2019 Categories Bible, Deuteronomy, faith, Luke, thought for the day, Through the Bible in a year.Tags Christianity, Deuteronomy 23, faith, Holy Bible, John the Baptist, Luke 1, Mary's song, religion, thought for the day, Through the Bible in a year., Zachariah's prophecyLeave a comment on March 22, read through the Bible in a year. 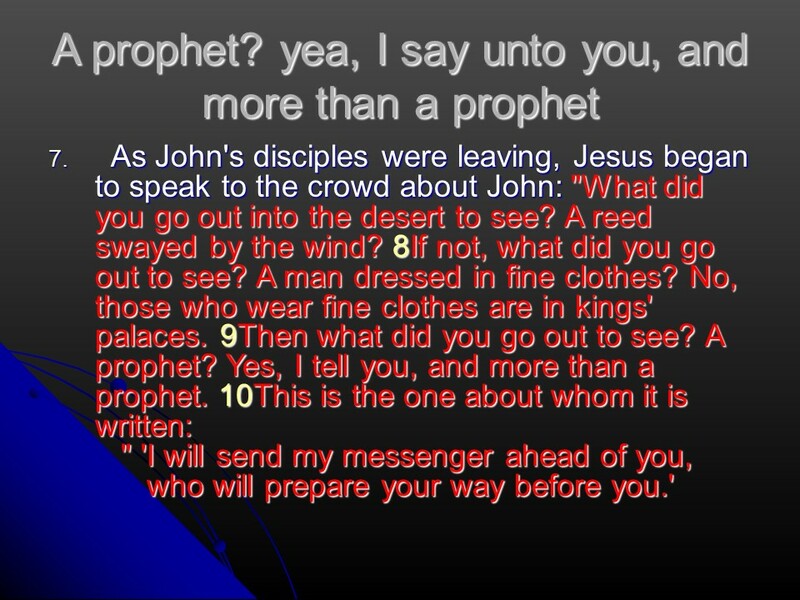 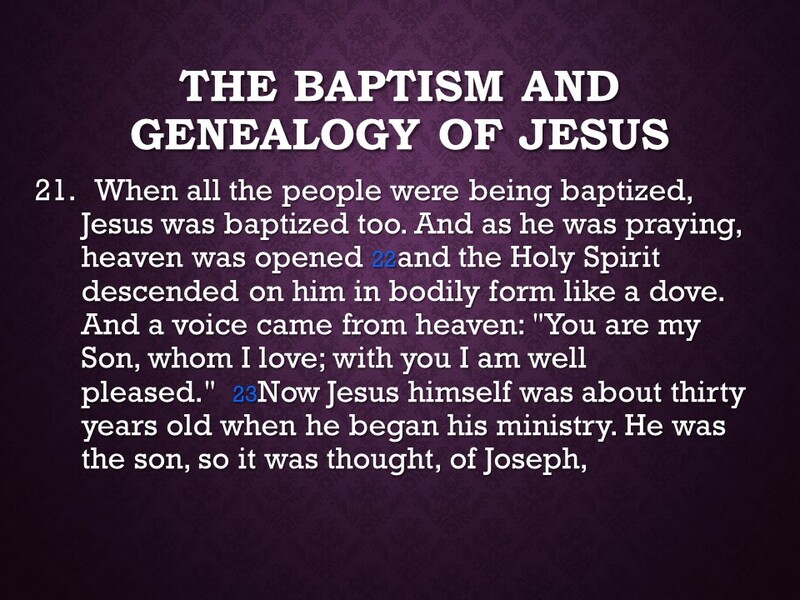 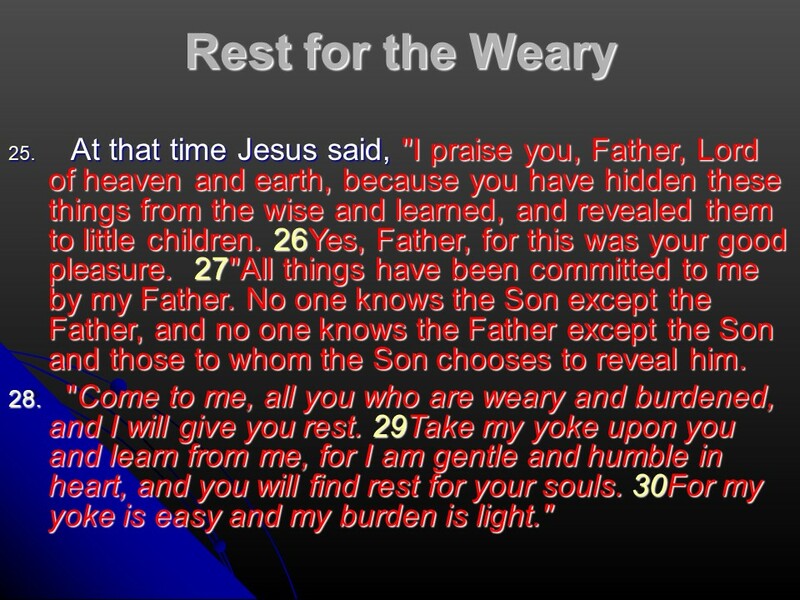 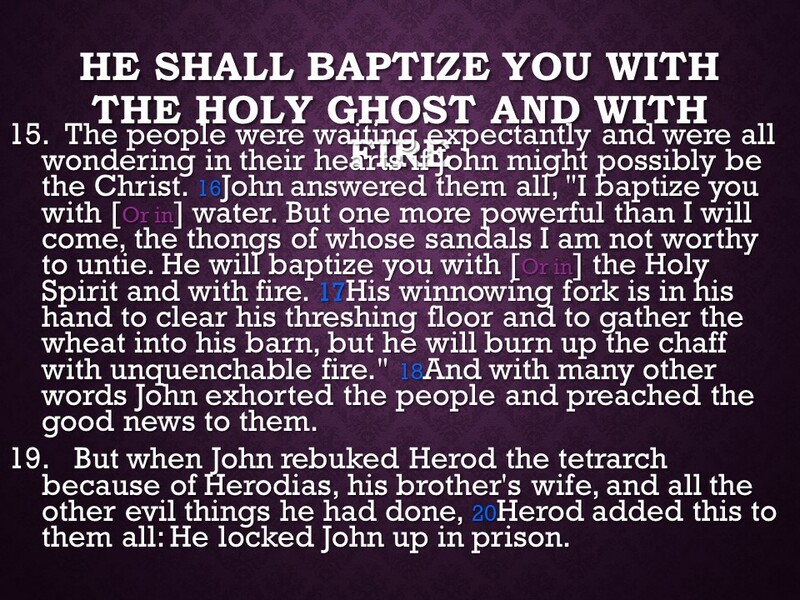 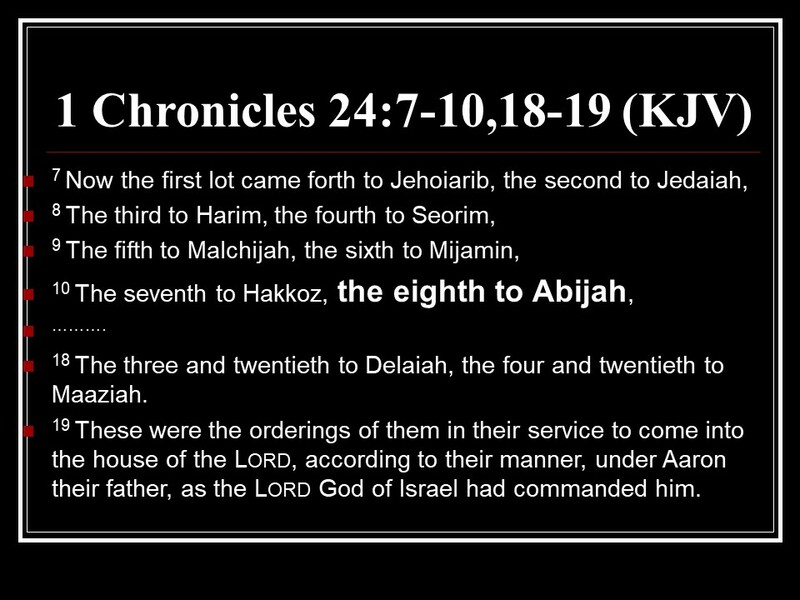 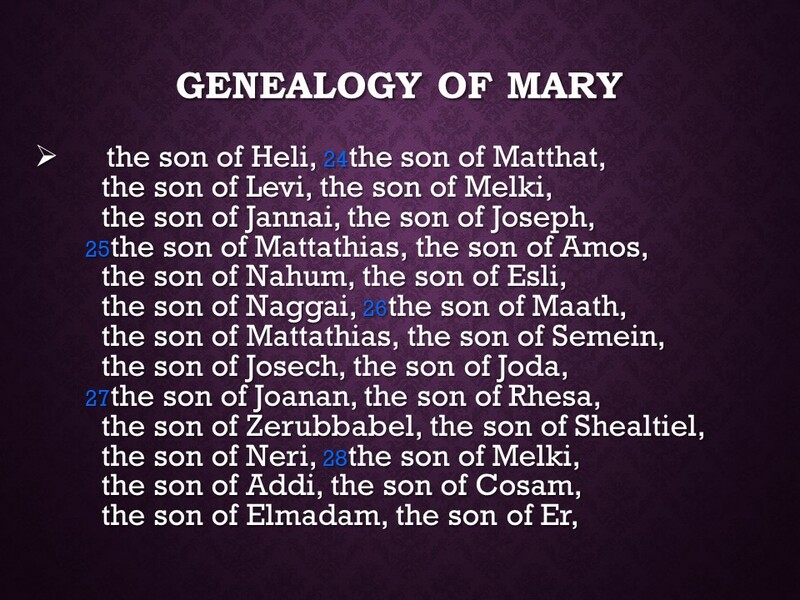 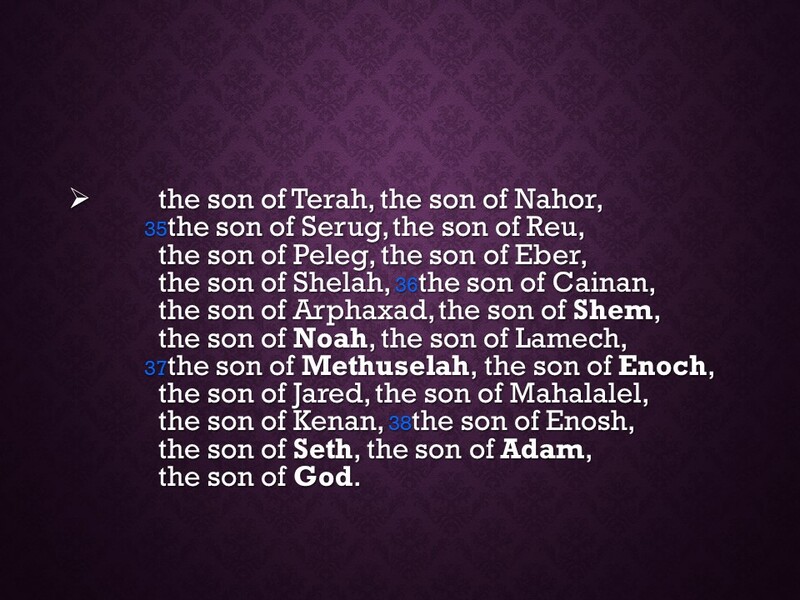 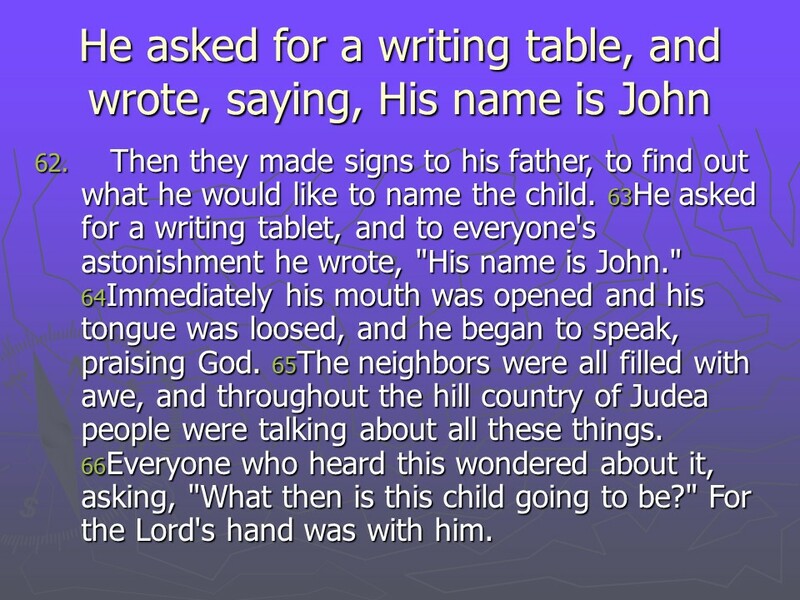 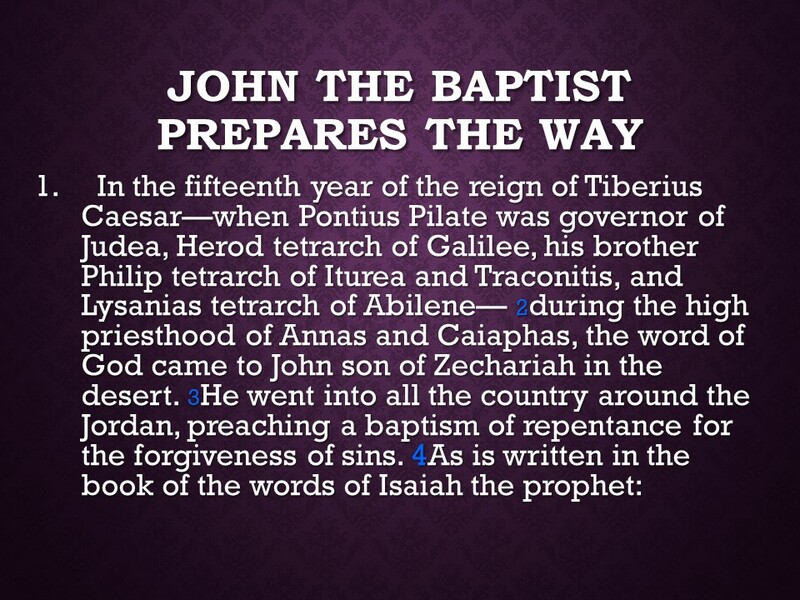 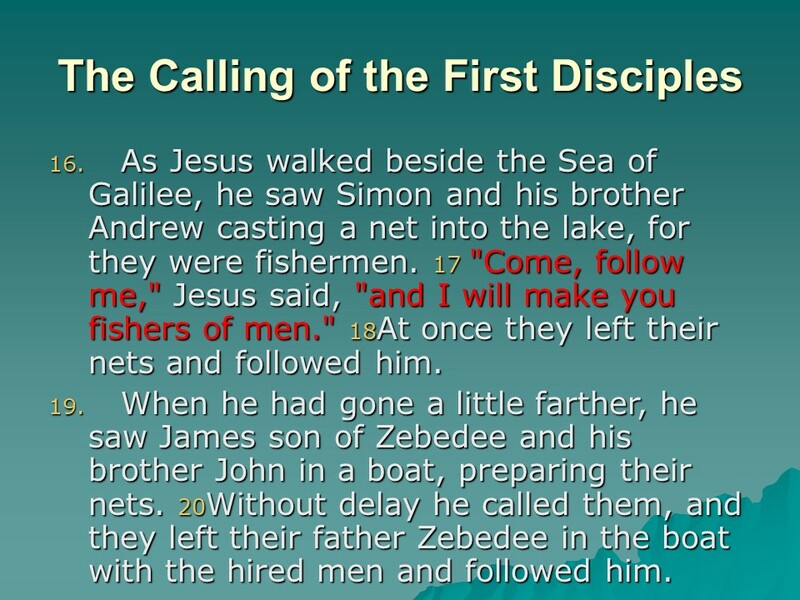 Luke 3, John the Baptist prepares the way, Jesus’ Baptism, The genealogy of Jesus. 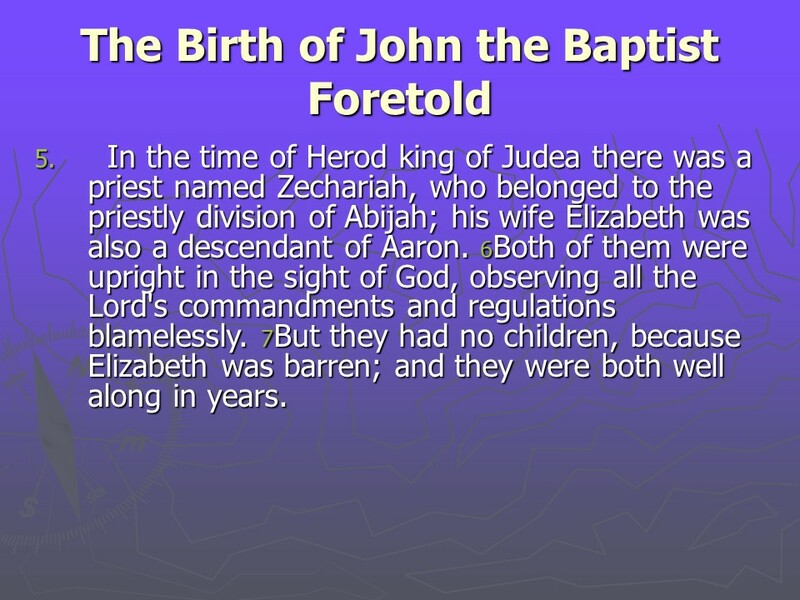 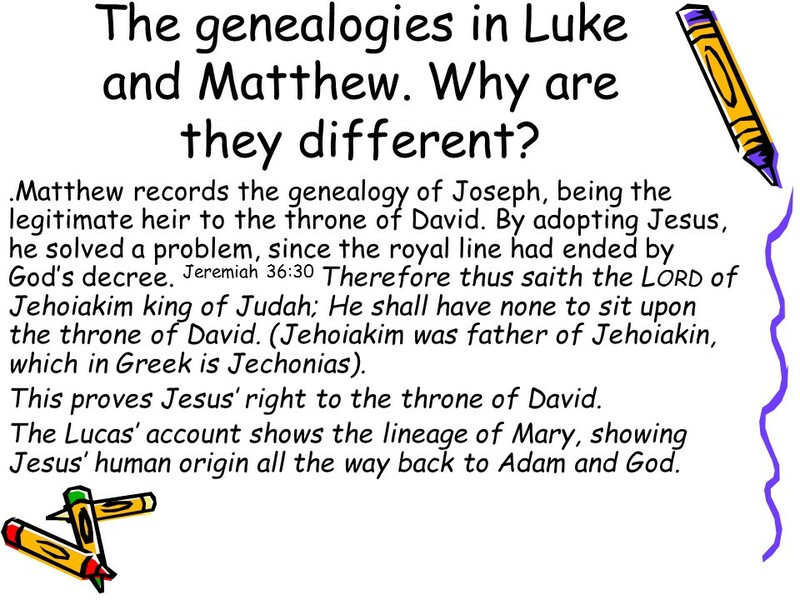 Posted on March 3, 2018 March 4, 2018 Categories Bible, faith, LukeTags faith, Holy Bible, Jesus' Baptism, John the Baptist, Luke 3, religion, The genealogy of JesusLeave a comment on Luke 3, John the Baptist prepares the way, Jesus’ Baptism, The genealogy of Jesus. 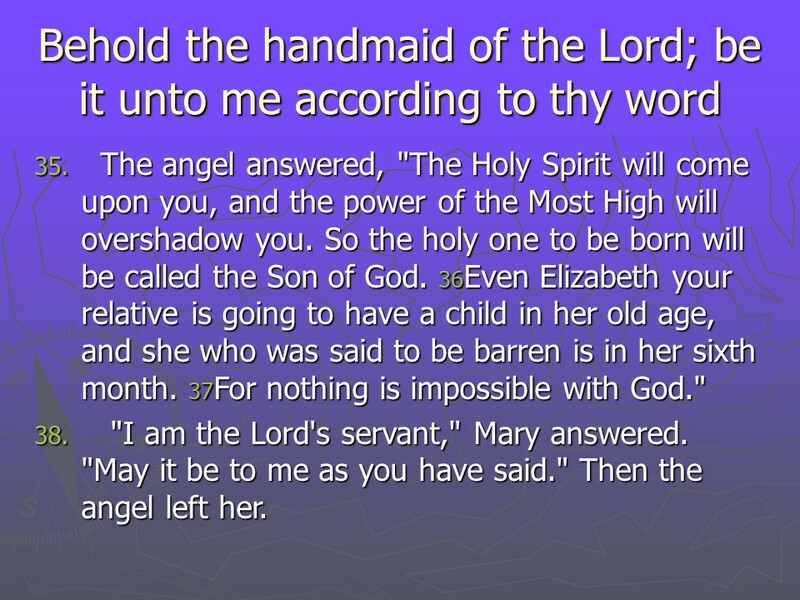 Luke 1, to Theophilus, Zacharias and the Angel, Gabriel’s announcement to Mary, Mary and Elizabeth, Mary’s song, Zacharias’ prophecy, the Birth of John the Baptist. 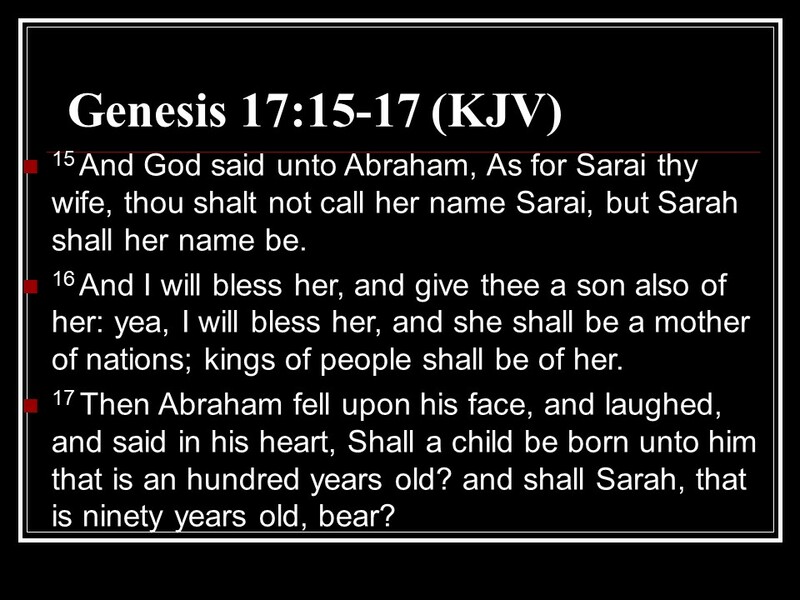 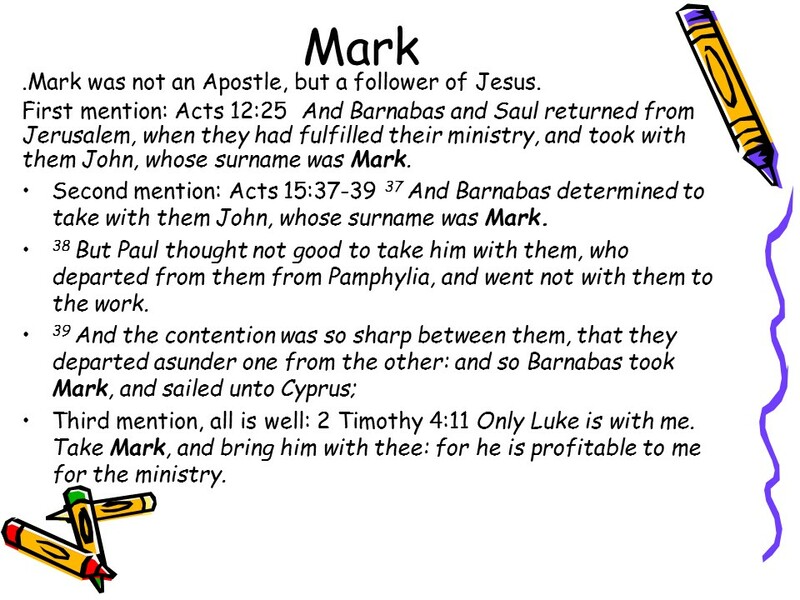 Posted on March 1, 2018 Categories Bible, faith, Luke, UncategorizedTags Elizabeth, Gabriel, John the Baptist, Luke 1, Mary, Mary's song, Theophilus, Zacharias, Zacharias' prophecyLeave a comment on Luke 1, to Theophilus, Zacharias and the Angel, Gabriel’s announcement to Mary, Mary and Elizabeth, Mary’s song, Zacharias’ prophecy, the Birth of John the Baptist. 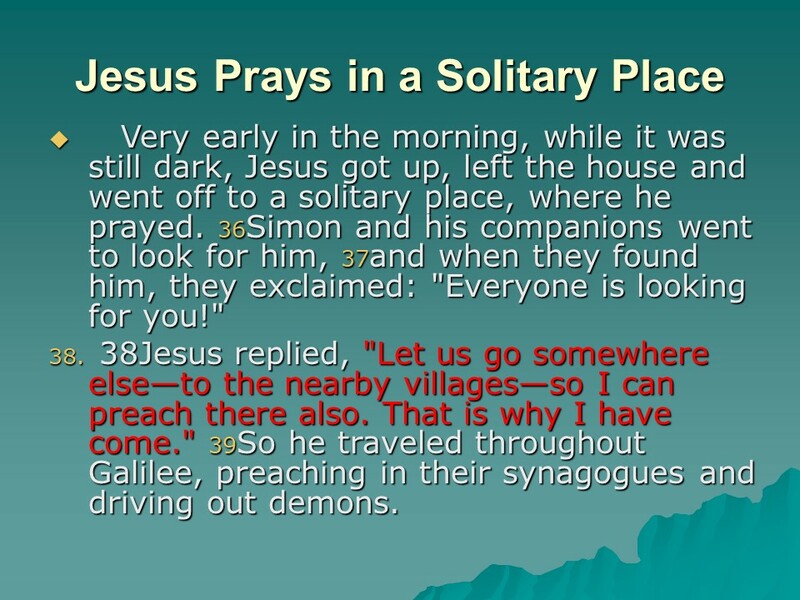 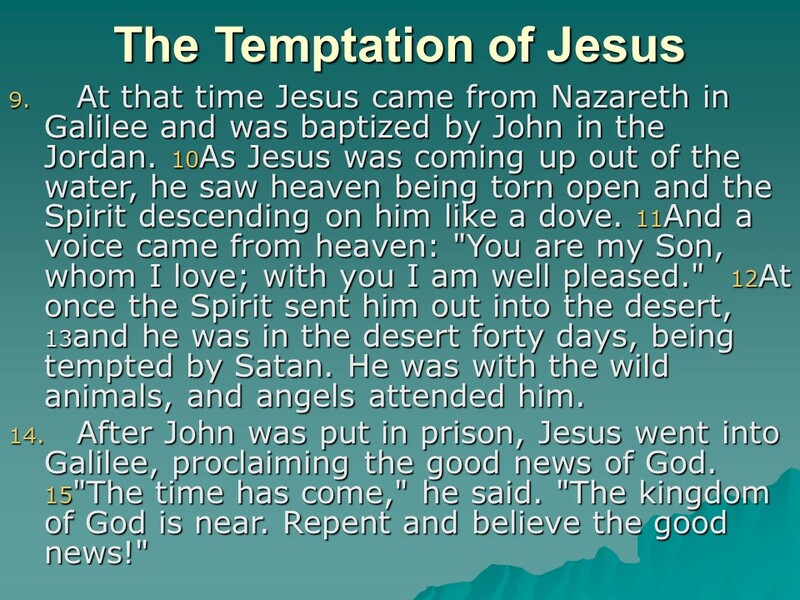 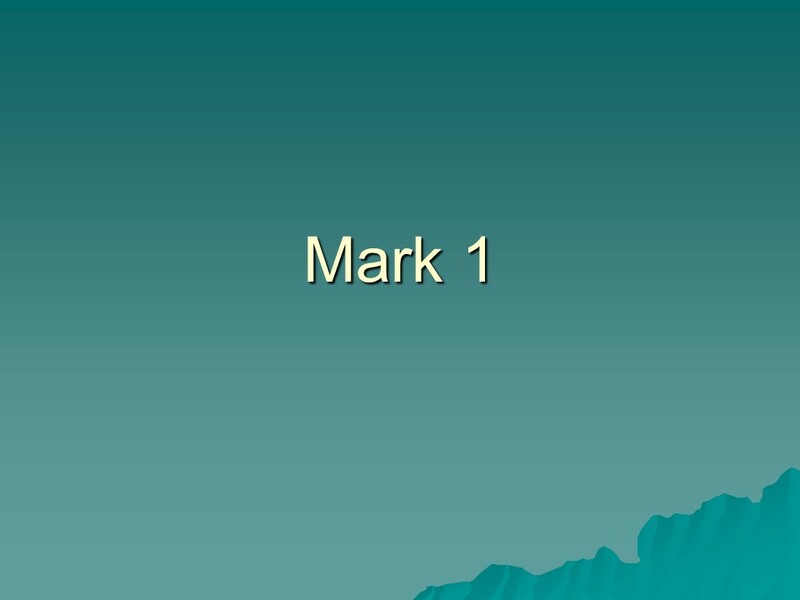 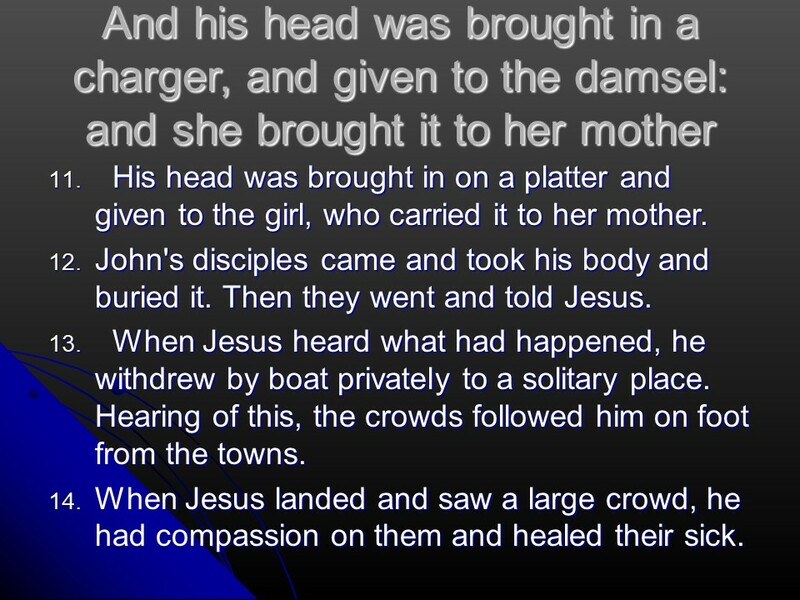 Mark 1, John the Baptist prepares the way, Jesus’ Baptism, Temptation, the first Disciples, driving out an evil Spirit, heals many, including a man with leprosy and prays in a solitary space. 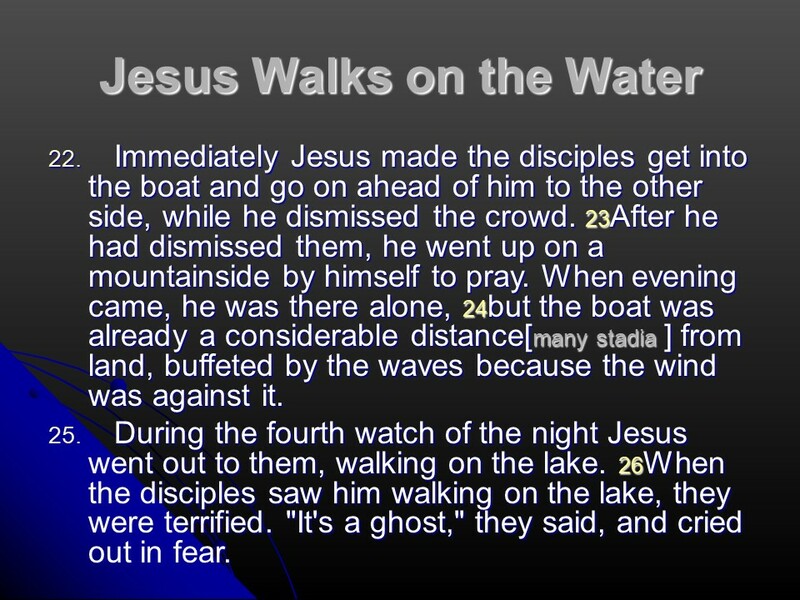 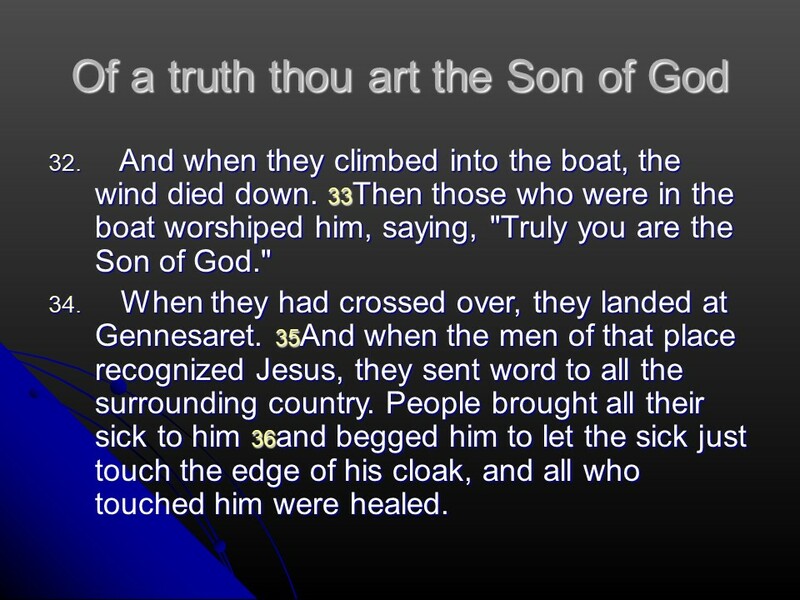 Matthew 14, John the Baptist beheaded, Jesus feeds the five thousand, walks on water. 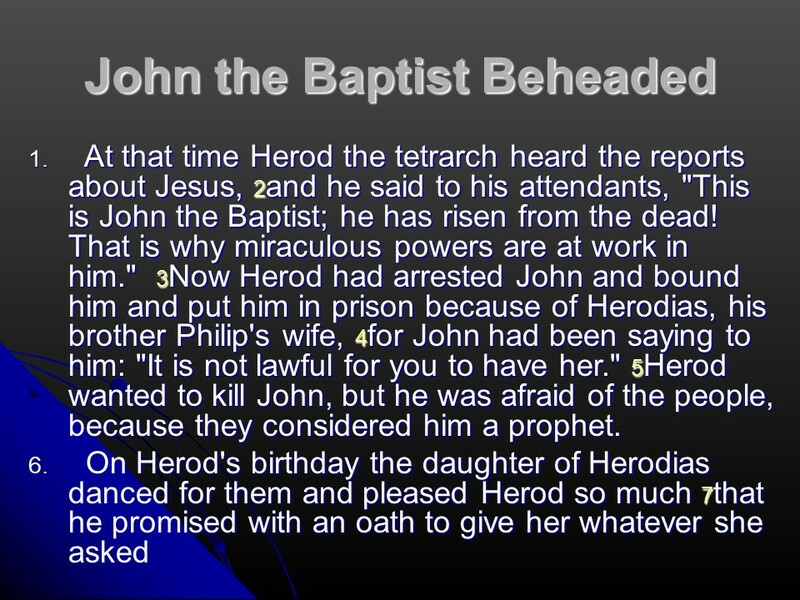 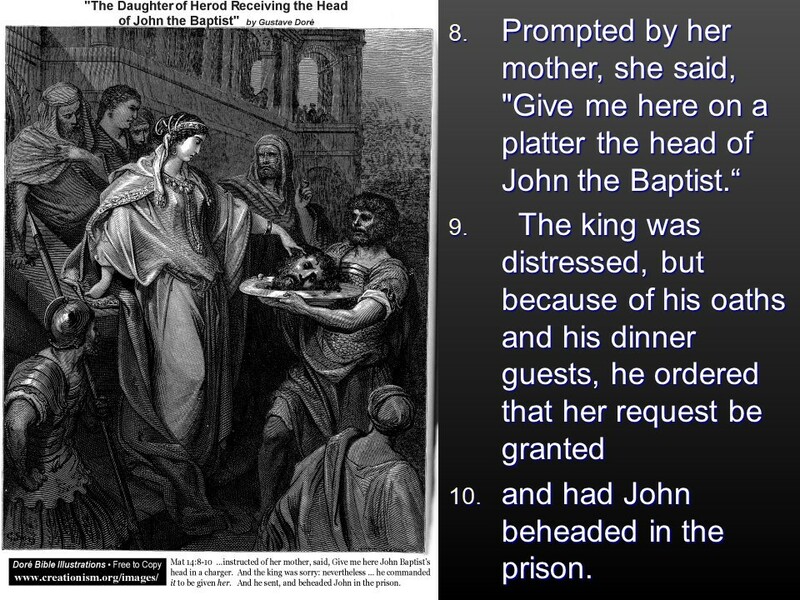 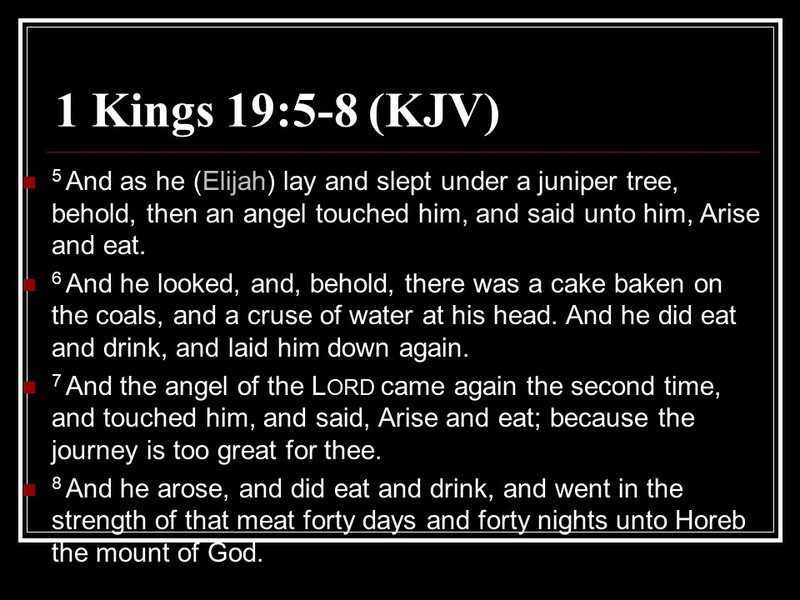 Posted on December 28, 2017 Categories Bible, faith, MatthewTags beheading, feed five thousand, John the Baptist, Matthew 14, Salome, the Son of God, Walk on water1 Comment on Matthew 14, John the Baptist beheaded, Jesus feeds the five thousand, walks on water. 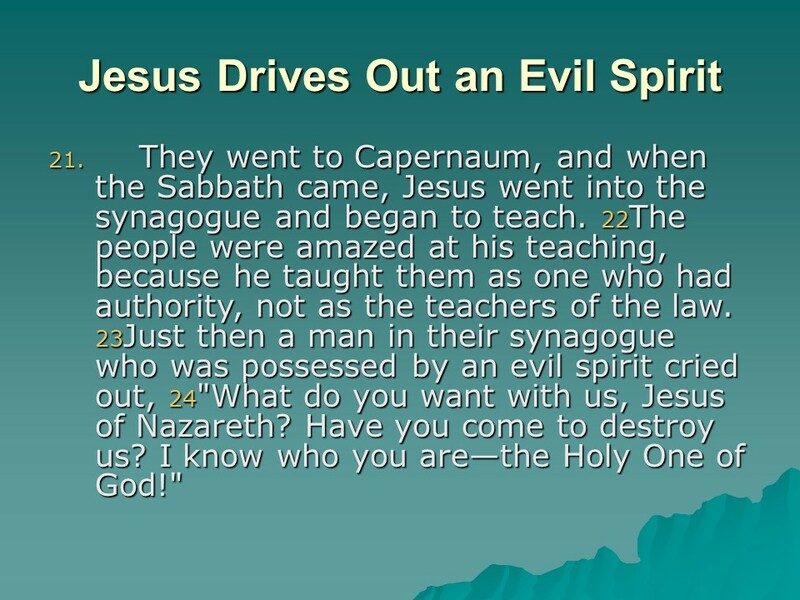 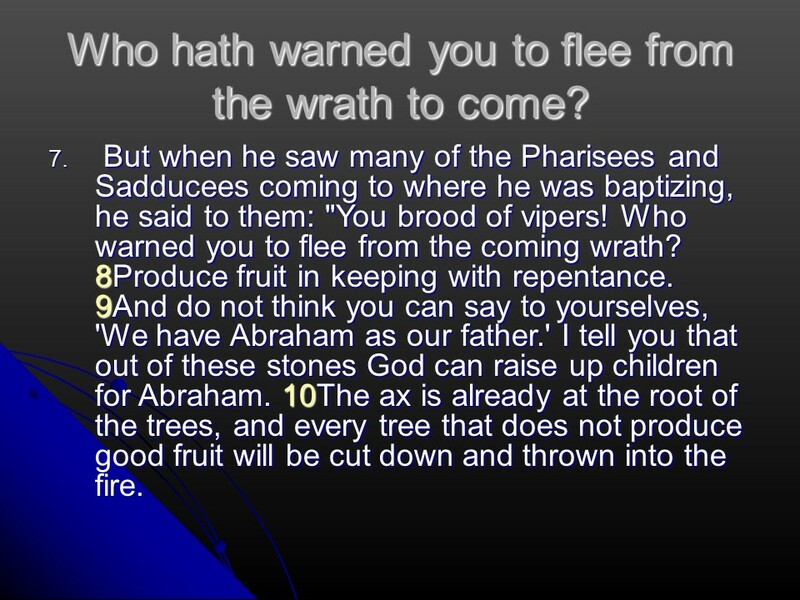 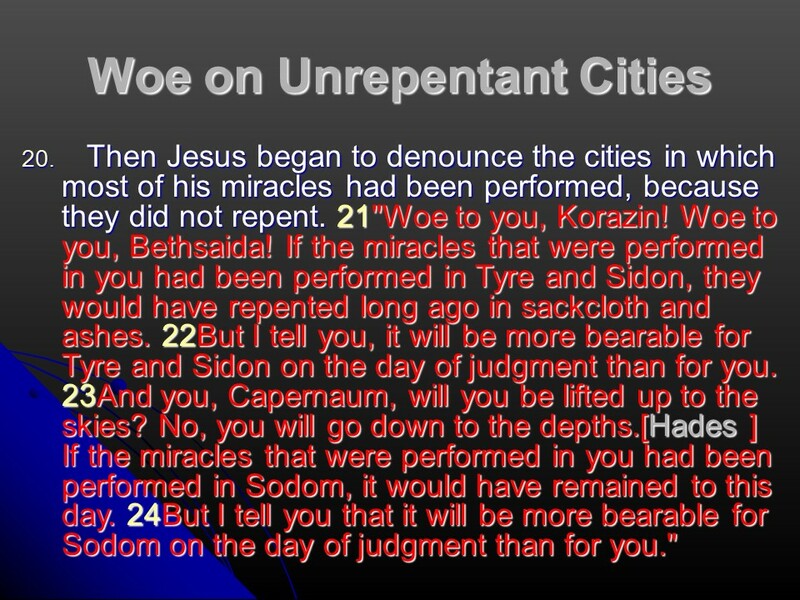 Matthew 11, Jesus and John the Baptist, woe unto unrepentant cities, come unto me. 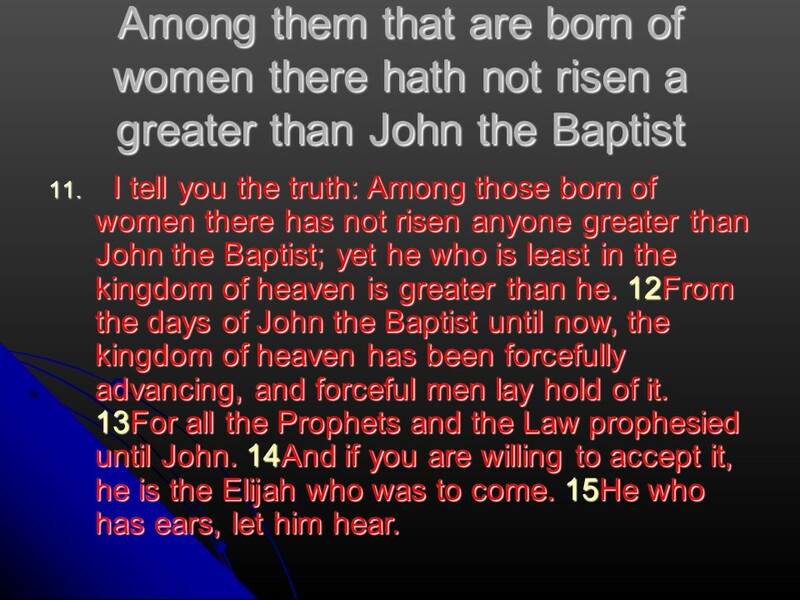 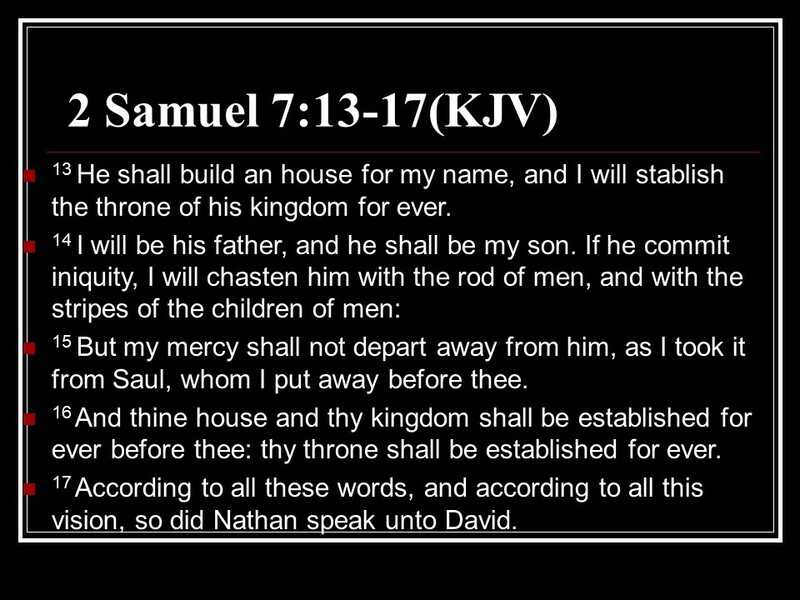 Posted on December 25, 2017 Categories Bible, faith, MatthewTags Bethsaida, Elijah, faith, Holy Bible, John the Baptist, Korazin, Matthew 11, my yoke is easy, religion, Sidon, the messenger, Tyre, wisdomLeave a comment on Matthew 11, Jesus and John the Baptist, woe unto unrepentant cities, come unto me. 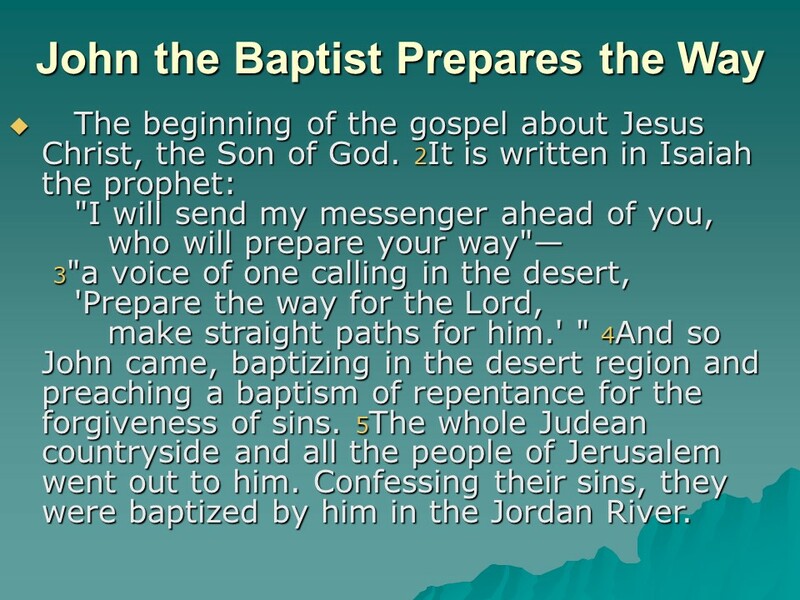 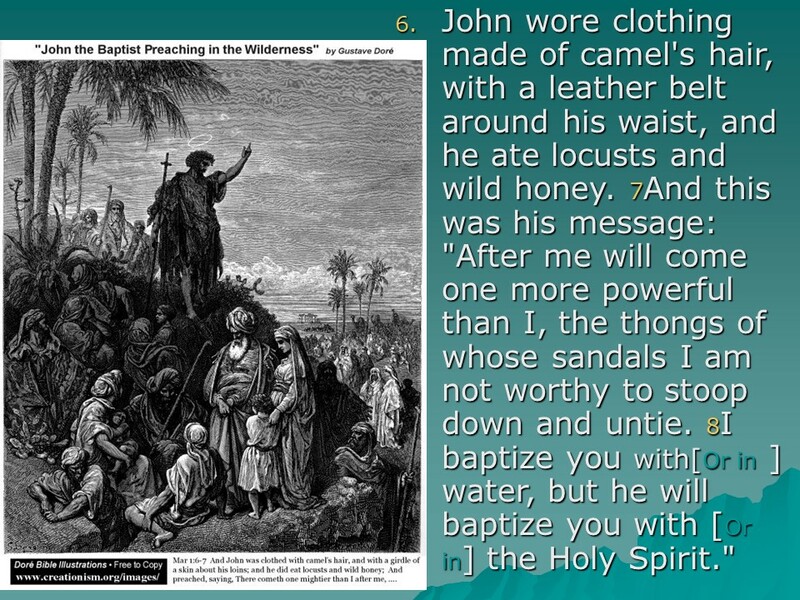 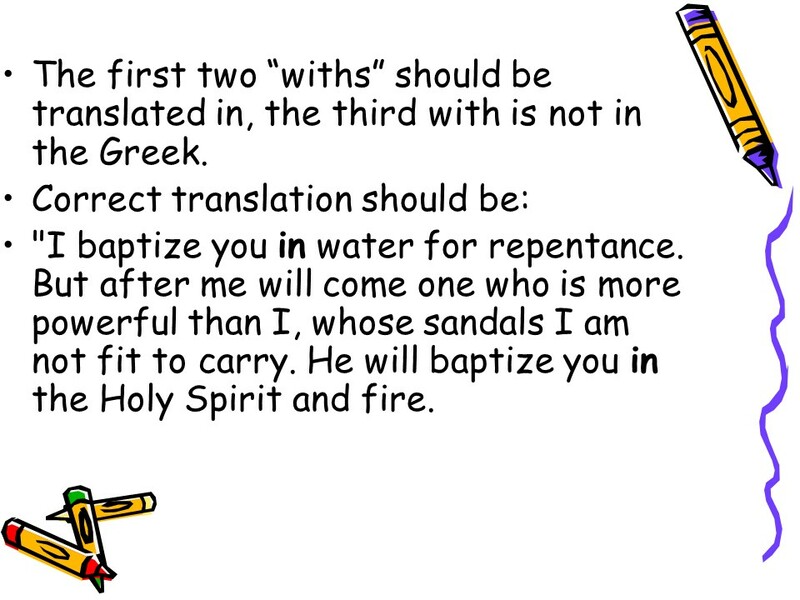 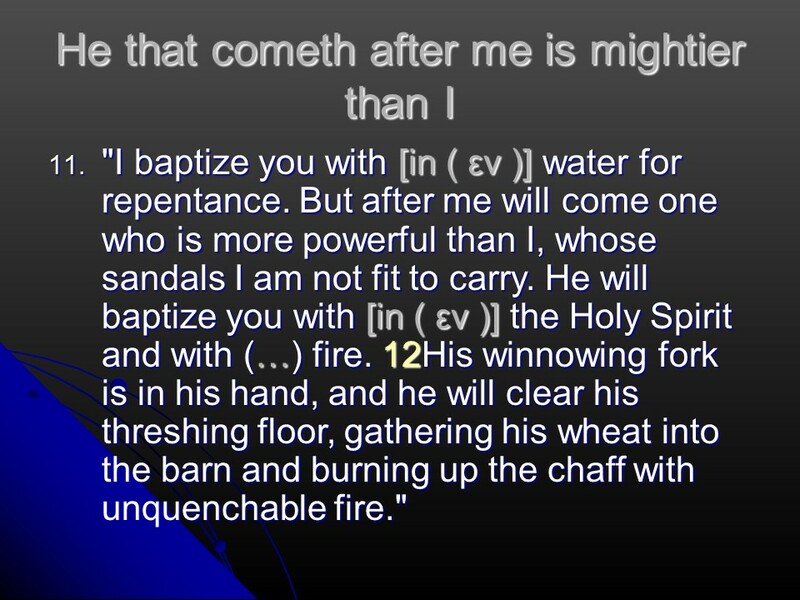 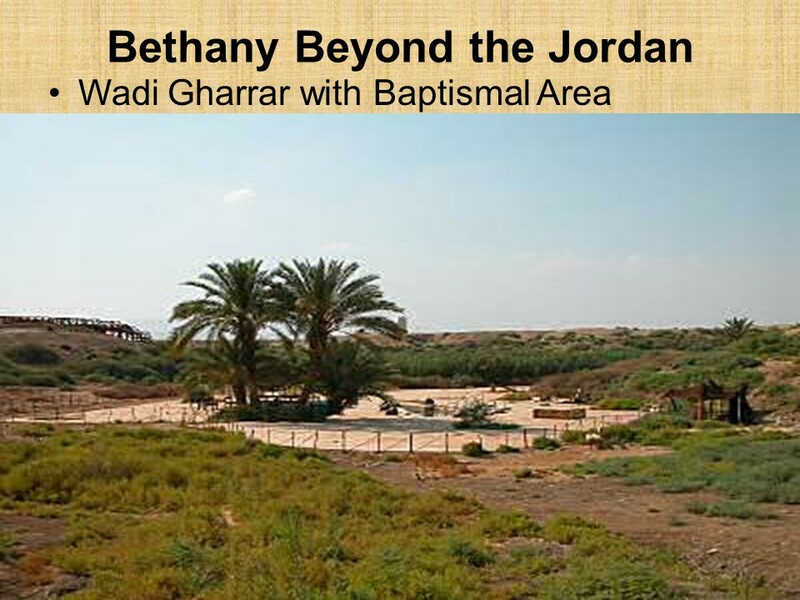 Matthew 3, John the Baptist prepares the way and Baptizes Jeus. 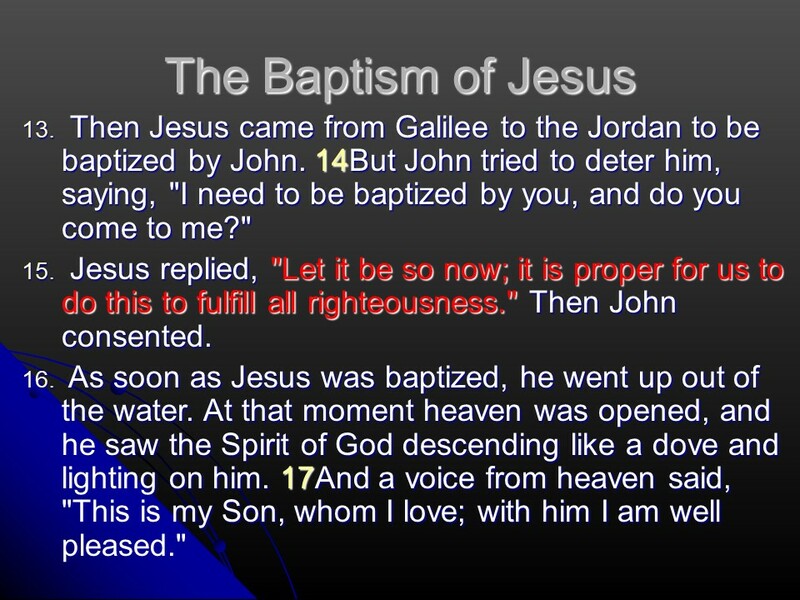 This is most probably where Jesus was baptized in an arm of the Jordan. 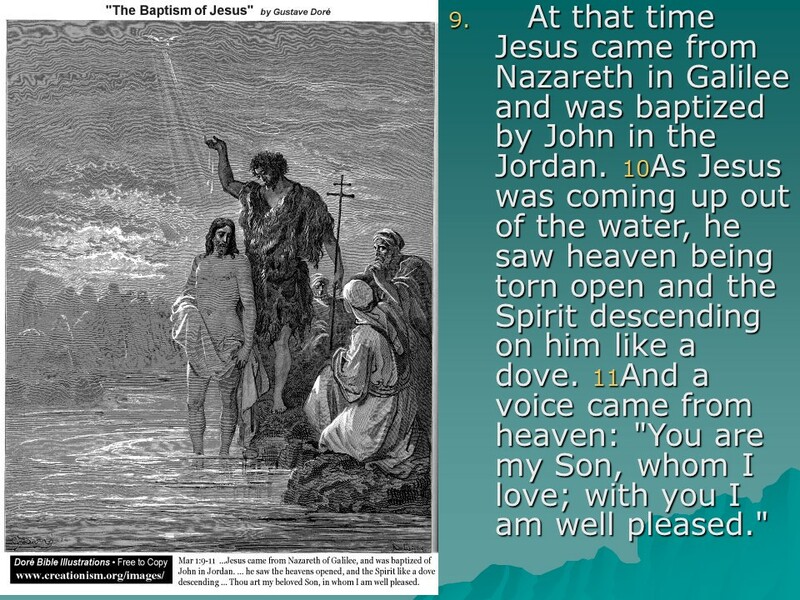 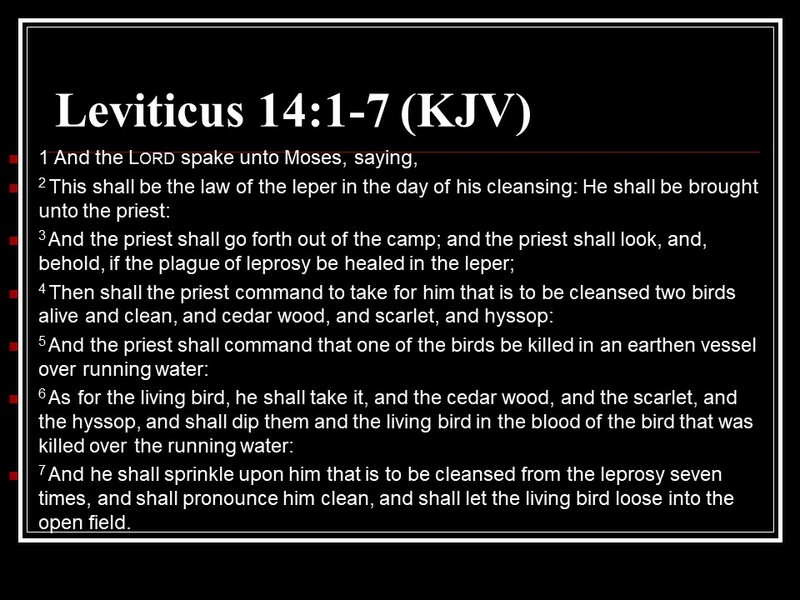 Posted on December 17, 2017 Categories Bible, faith, MatthewTags baptism in the Holy Spirit, baptism in water, dove, faith, Holy Bible, John the Baptist, Matthew 3, prepare the way, religionLeave a comment on Matthew 3, John the Baptist prepares the way and Baptizes Jeus.